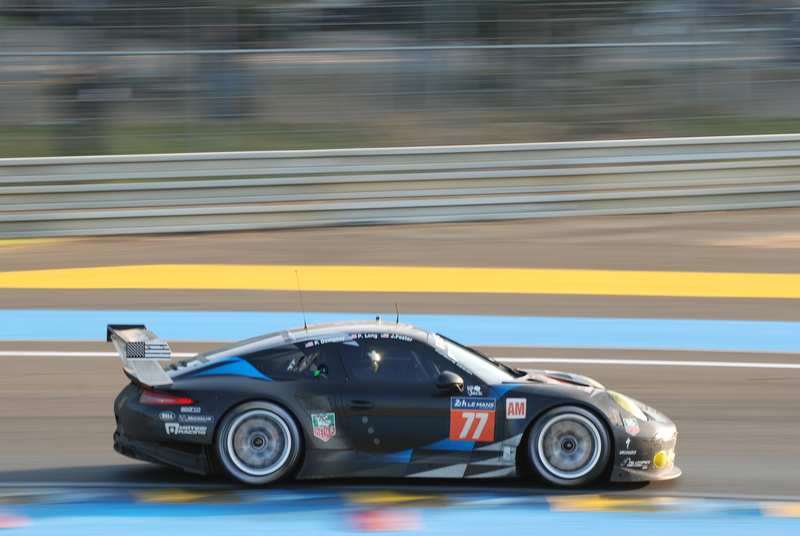 There’s something about the pre 1970s Porsche race cars that over the years have drawn me to them from a photographic and design standpoint, and the Porsche seen below is no exception. 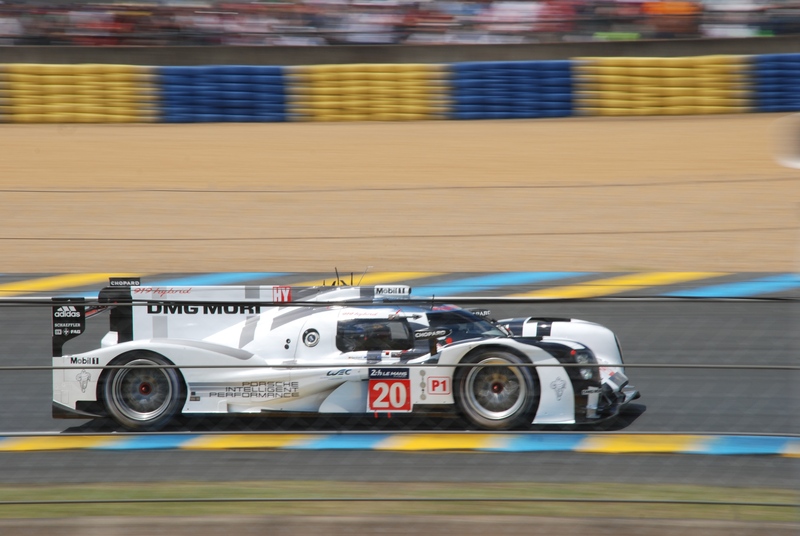 The car in question is a 1969 908LH, Porsches winningest chassis (#908 025); one very low and sleek, built for speed streamliner, powered by a 2997cc air-cooled flat 8 motor, developing 350 horsepower. 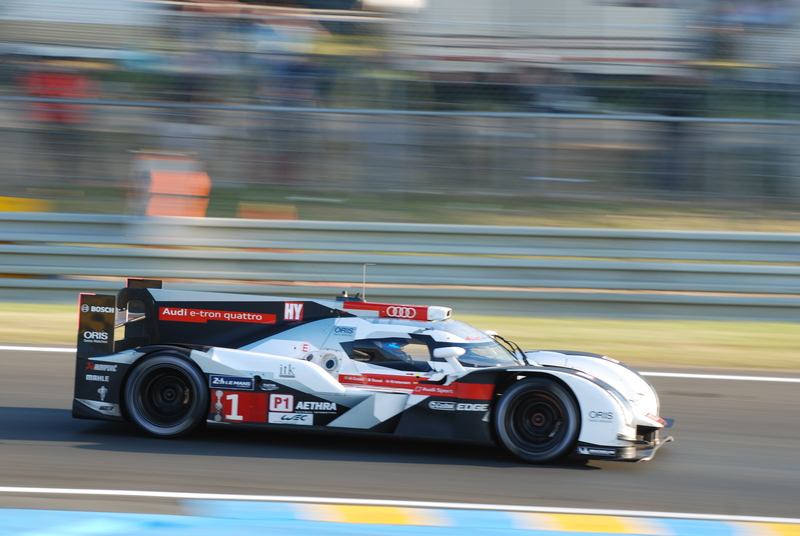 Sufficient to propel this car into the realm of 200 mph, and on this weekend, onto the memory card within my DSLR. I first encountered this very car back in 1992 at the Monterey Historics, displayed by the Collier Collection, based out of Naples Florida. In 2009, The Rev’s Institute was founded, as an evolution of the Collier Collection, by its founder Miles Collier, with the goal of creating a venue for the further promotion of “automotive research and historical studies”. (Below) The pilot for the weekend was none other than Gunnar Jeannette (dressed in black), intently focused on securing a GoPro onto the roof of the 908LH. Prepped and rolling out for its track session. Staged on pit lane (below), as a participant in Saturday afternoon’s pit lane concours. 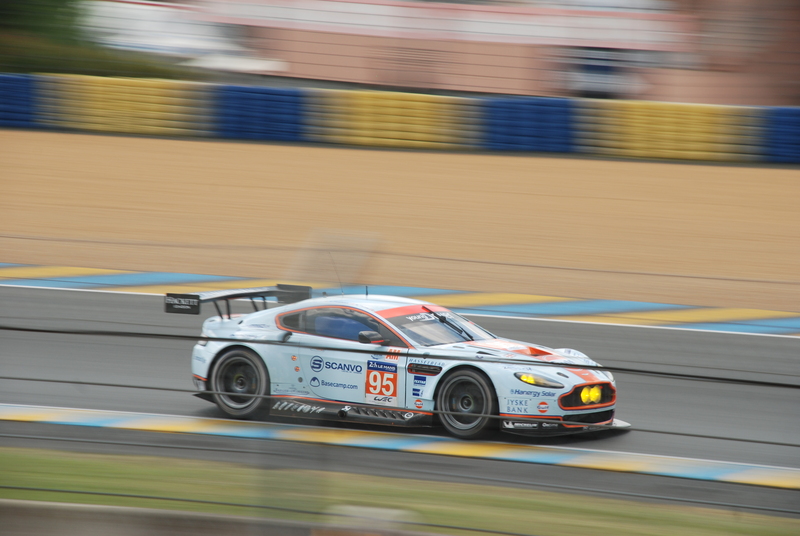 One striking detail that I noticed was changed from the last time I saw this car, were its colored body accents. 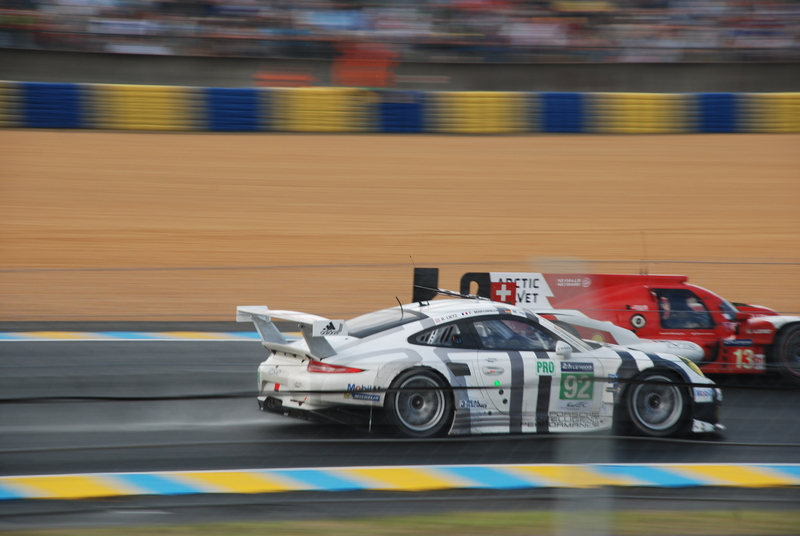 This was a very graphic way for Porsche to differentiate their individual team cars when part of a multi car team. Back in 1992, I remembered the green accents being much darker, similar to Porsche’s Irish Green. However, when I spoke with a team member from The Revs Institute about the color, he said the current color is a more accurate representation of what was applied back in 1969. This current application in addition to being matte fluorescent green, also exhibited brush strokes. So my second question was regarding the actual paint make-up, and the response confirmed my suspicions. All of the green accents were painted using water based tempera paint, similar to what’s routinely used in grade school art classes. 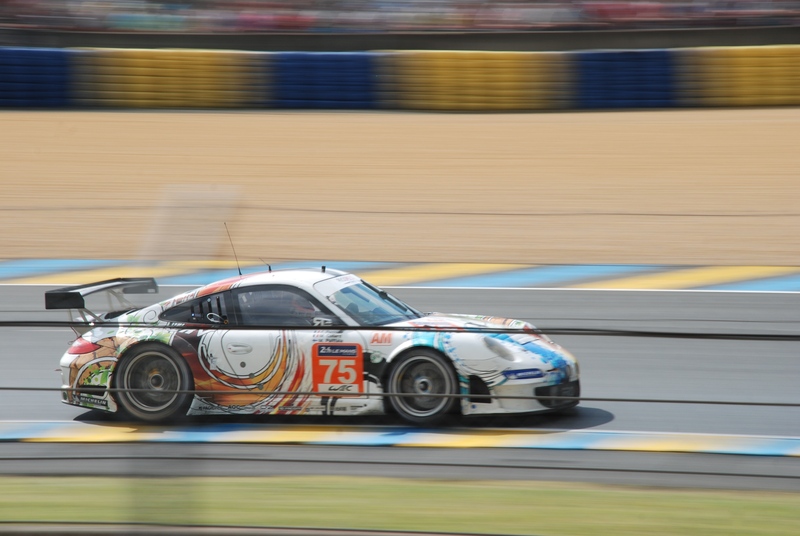 This paint medium approach to nose graphics appeared to have been embraced by a variety of the other Porsche race cars (from the same time period), also wearing similar matte finish graphics in a variety of period colors. 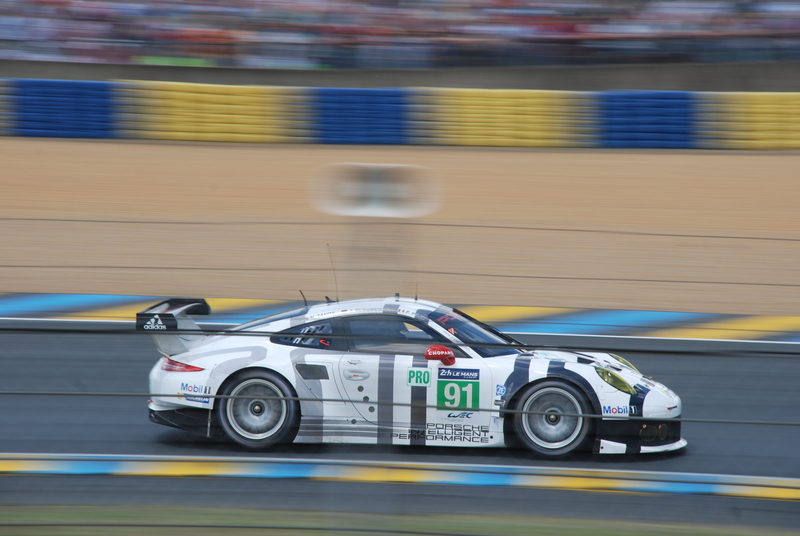 Unfortunately, the one question that I failed to ask was regarding the effect of weather on this paint. 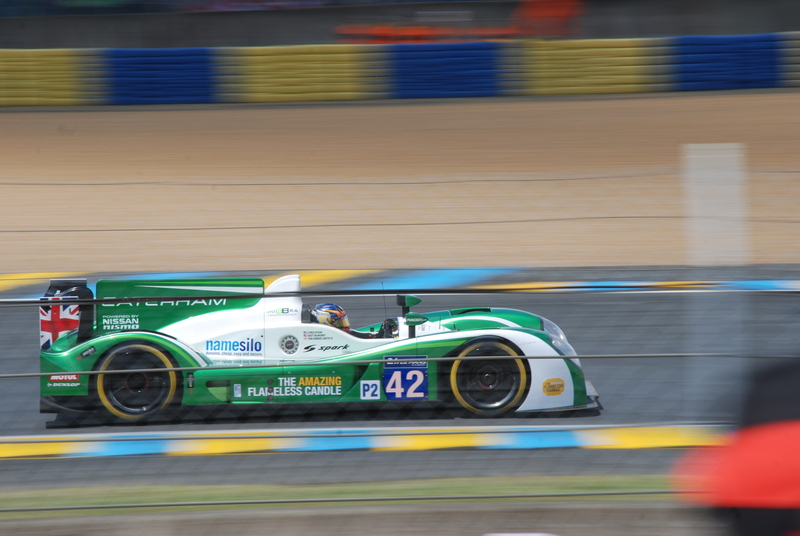 If it rained, would the fluorescent green paint wash off, or would it become a visual tracer, ideal for studying the aerodynamic airflow over the car? Or would the painted accents be intact, protected by a matte clear coat finish? So if anyone from The Revs Institute happens to read this blog post, I would appreciate some closure to my question: matte fluorescent green accents; clear coat protected or ? After an extensive time away from my blog, it’s finally time to get back to the task at hand. And that dear readers means digitaldtour is back, and will once again be sharing Porsche centric, photographic content from near and afar. 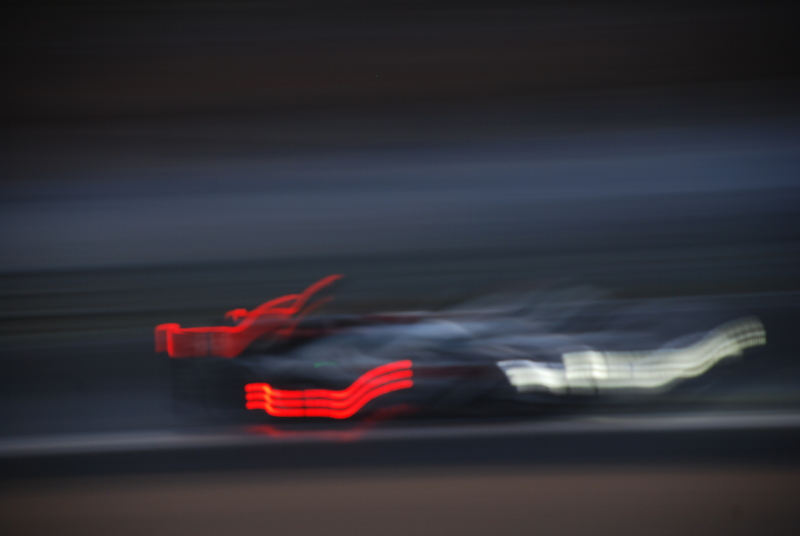 To kick things off, I’m going to start with one of my favorite images captured from this past September’s Porsche Rennsport Reunion 5. For those unable to attend, the car below is a 1949 Porsche Gmund SL Coupe, which holds historical significance as one of Porsches earliest class winners at the Le Mans 24 hour race, dating back to 1951. This car was lovingly ressurected just prior to Rennsport Reunion 5 by Southern California’s own Porsche guru Rod Emory, who’s metal fabrication skills made it possible for Porsche to showcase this car alongside two of their other Legendary Le Mans 24 overall winners seen below; the red & white scalloped Porsche Salzburg 917 from 1970, and this years outright Le Mans 24 hour winner, the 2015 Porsche 919 Hybrid. After an overly long delay, here goes; “better late than never.”..The fulfillment of a lifelong dream, Part 2. 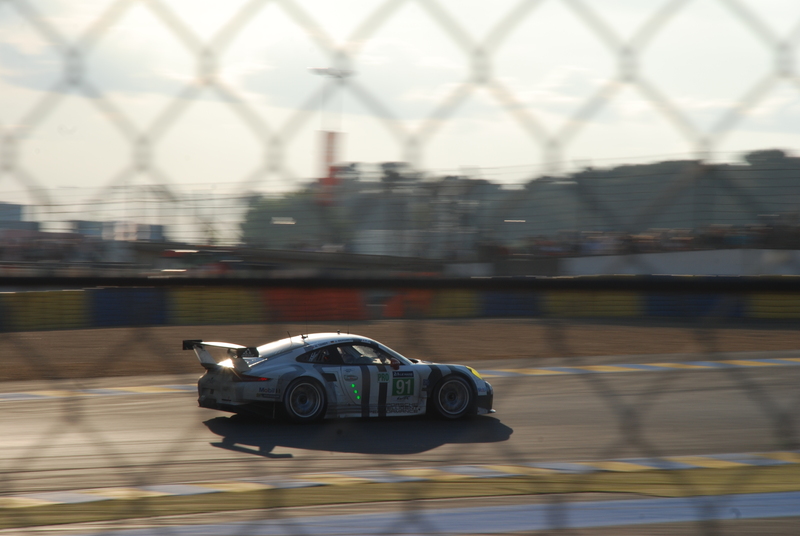 So having left Porsche’s soon to be completed “Spirit of Le Mans exhibit, I figured it was time to scout out a location for watching the start of the race, and one where I could have a good vantage point from which to begin my photographic explorations. 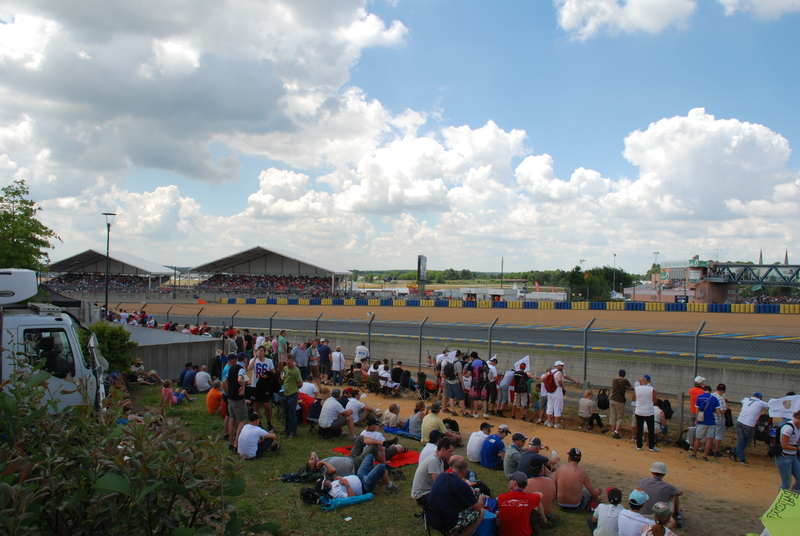 Fortunately, I remembered seeing an open spectator area right behind one of the food and beer concessions, complete with tables and chairs, and based upon the information from my track map, I decided this very area facing the Dunlop curve and Dunlop chicane would be ideal, and give me good afternoon lighting. (Little did I know the side benefit that this location would provide, but more on that later). For those that follow my Instagram feed, you may have seen a post I made leading up to our departure for France. 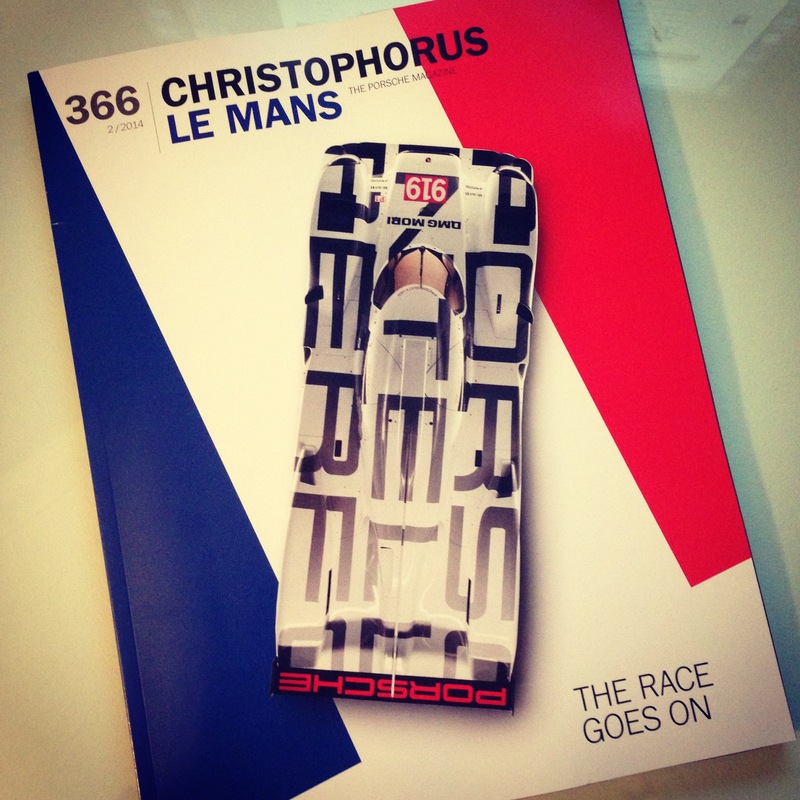 The Porsche magazine Christophorus, had arrived in the mail, and issue # 366 just happened to be dedicated to Le Mans. 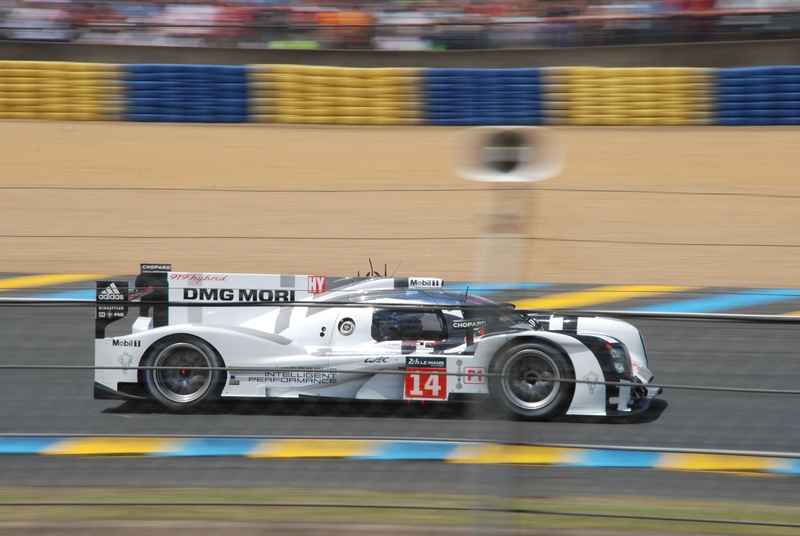 Inside, I discovered an article written about one of the newest racing drivers to join the Porsche factory team, Brendon Hartley, and his unique talents as a top simulator / virtual test driver. 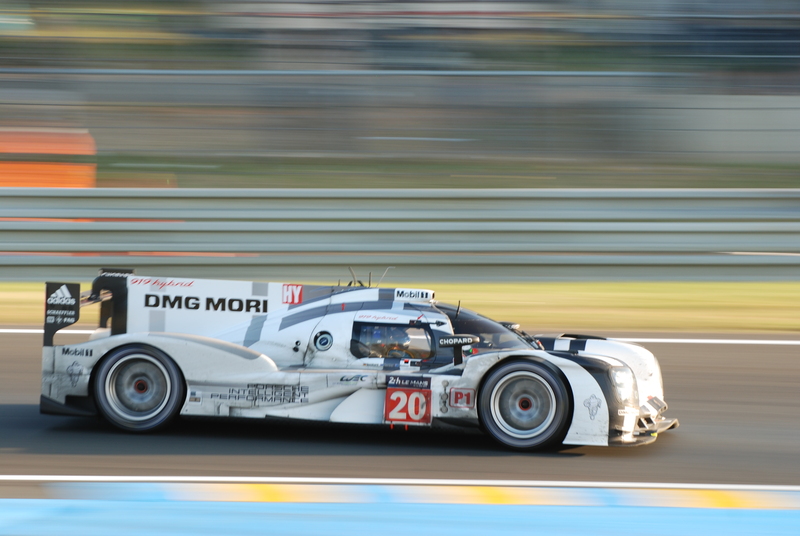 Brendon would be co-driving Porsches new LMP-1, 919 hybrid (car #20) with team mates Mark Webber and Timo Bernhard. 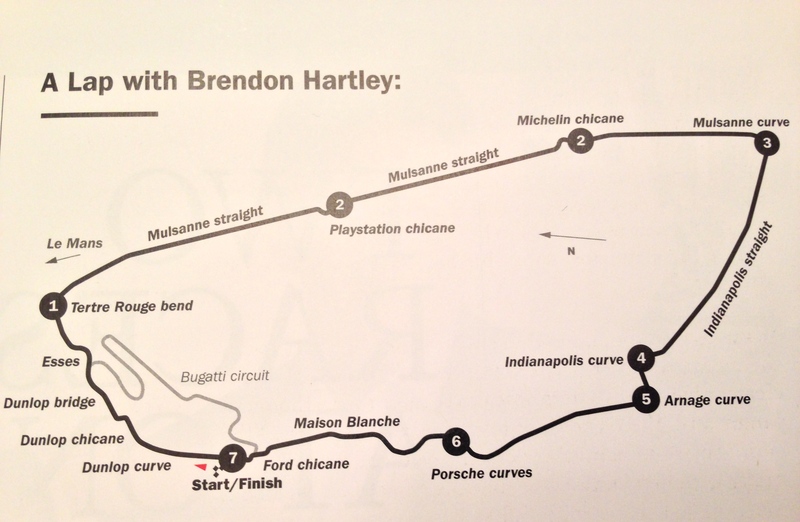 Within the article was a sidebar that included a track map with key sections highlighted, and linked to a description penned by Brendon Hartley, focused on the making of an ideal lap. 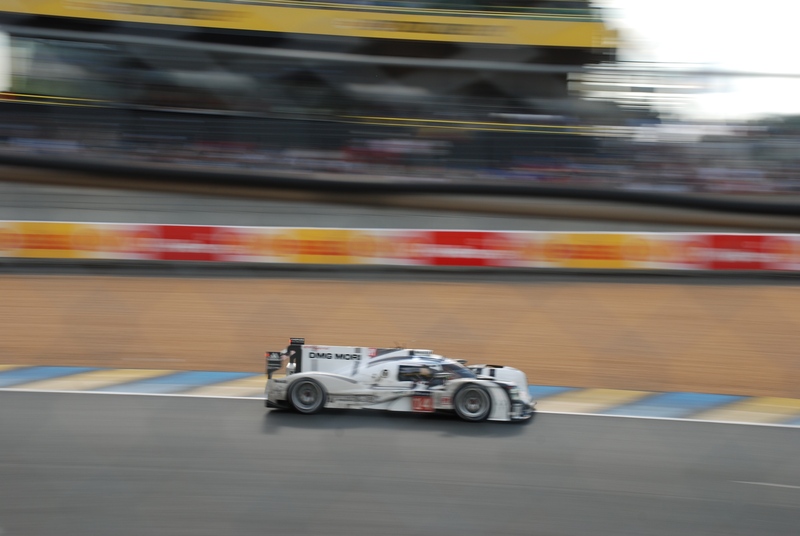 Seven different track sections were described, and each accompanied by his personal approach to driving the 919 at optimum speed. 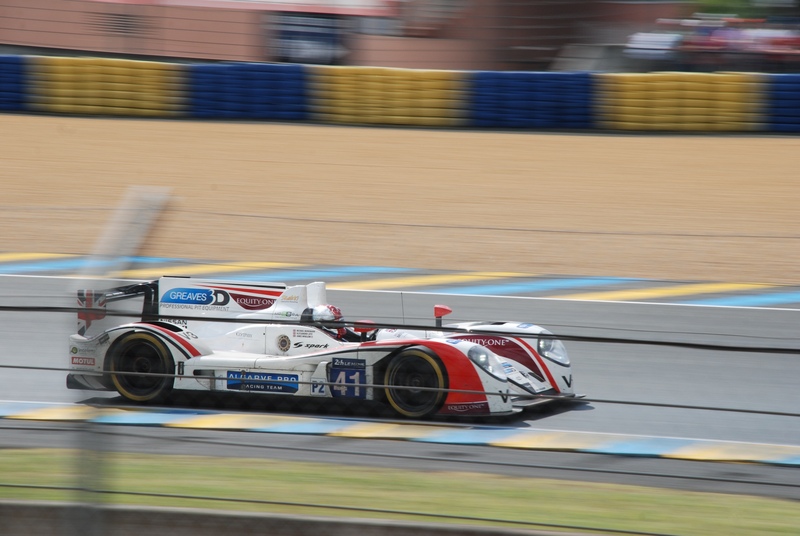 It was an amazing article, and his insight into racing at Le Mans made for a great read, not to mention providing me with a list of locations to explore and observe during the race. 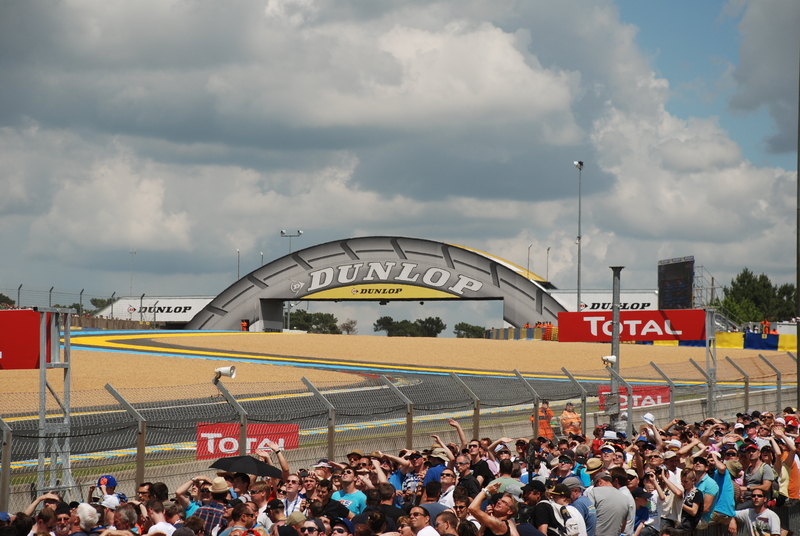 and to my right, the Dunlop chicane and bridge. 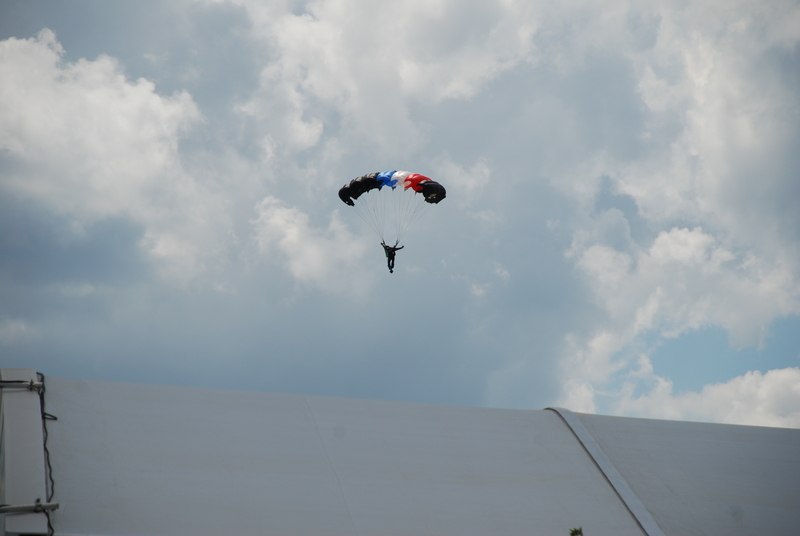 With the clock ticking and less than 1/2 hour to race time, one of the pre race activities included an aerial show. 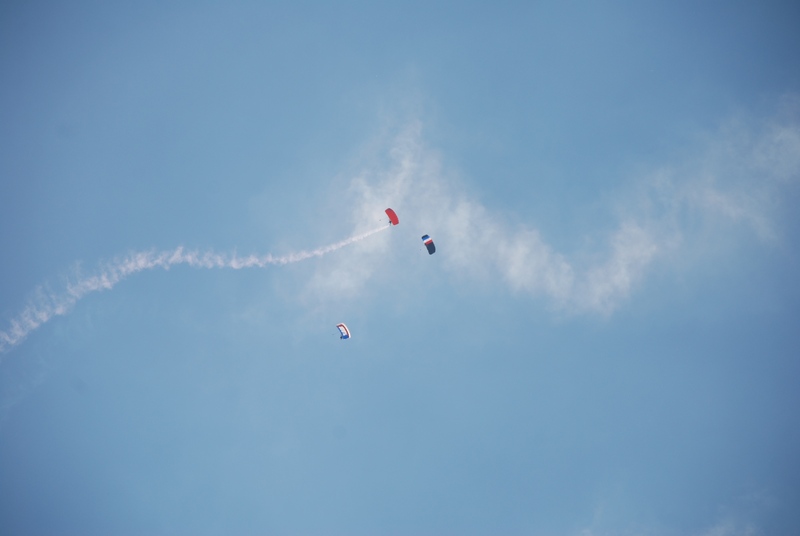 After a brief PA announcement, the event’s focus shifted skyward, just in time to catch a trio of skydivers beginning their descent.Their ultimate landing / target turned out to be the start / finish line. 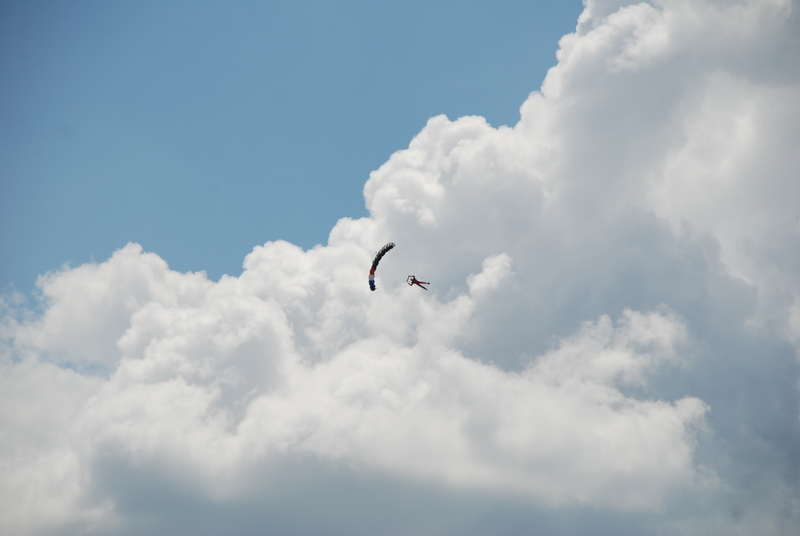 With the last of the skydiving trio successfully back on the tarmac, the final countdown to the start of the Le Mans 24 Hours race began. 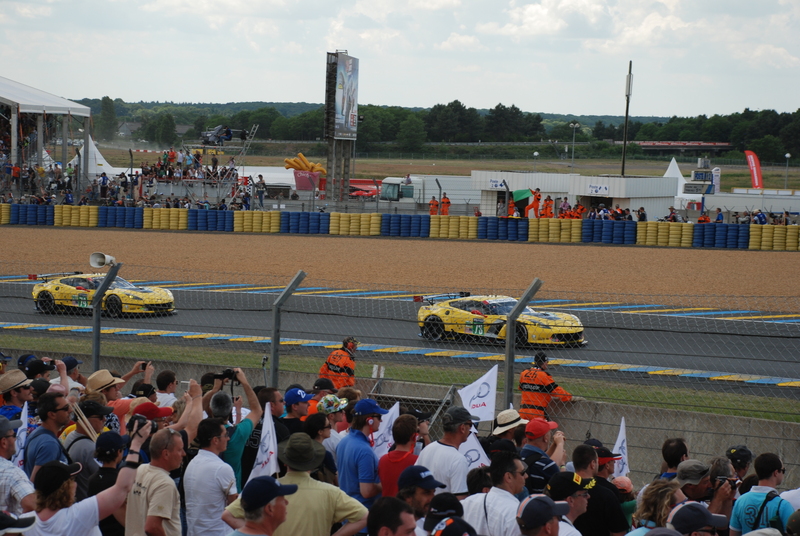 After another brief announcement over the PA, there arose a collective cheer that could be heard coming from the grandstands situated along pit row, and suddenly race cars appeared on the track. 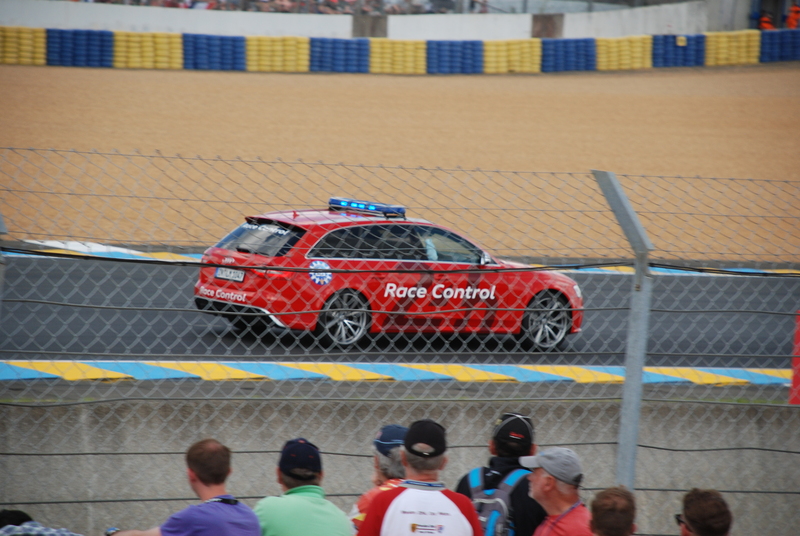 Leading the pack was the brilliant red Audi RS6 Avant (as seen below), representing one of the multiple Safety and Race Control Cars provided by Audi, which would pace the pack for their warm up laps. These red Audis RS6s would reappear multiple times over the next 24 hours, anytime race conditions warranted the need for a safety car on track (in the event of an accident on the circuit, or weather issues). 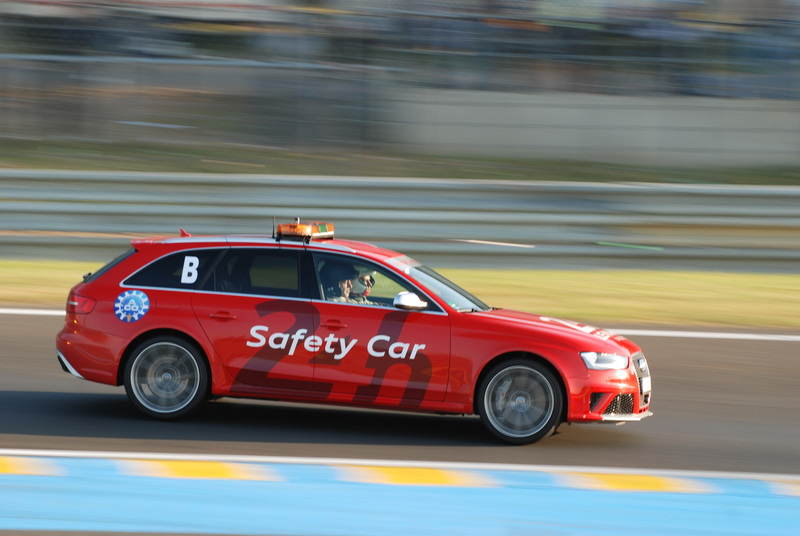 After picking up the race leader, the Audi RS6 Avant would control the pace of the field, until race control determined all current concerns had been resolved, and it was safe for the competition to resume. 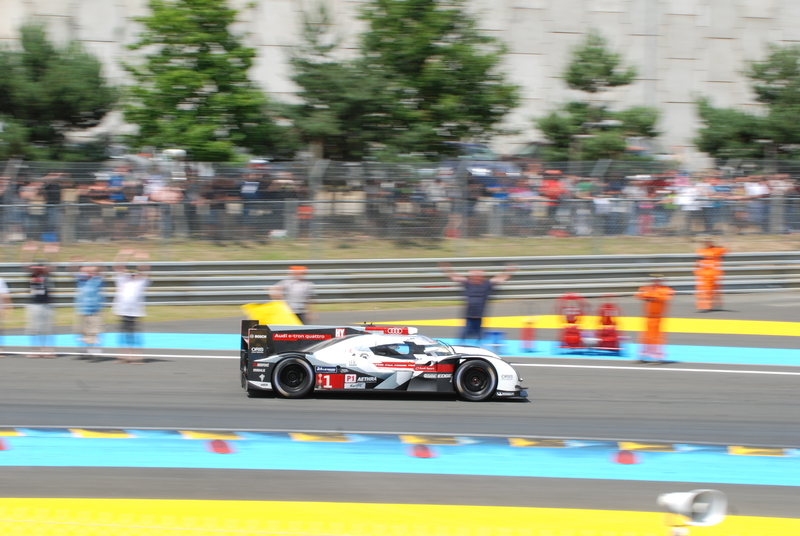 Following a short distance behind the Audi, was the crowds first glimpse of the competitors we had all come to see, beginning their initial warm up laps. 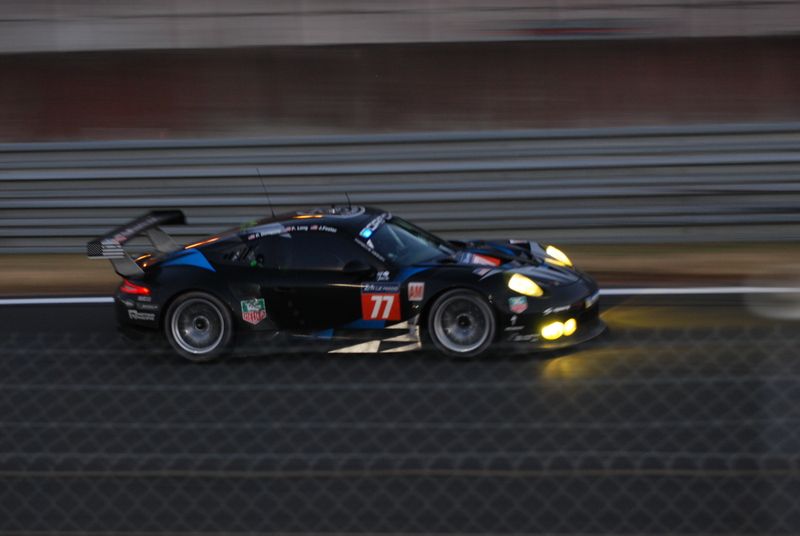 and for 2014 from the Proton Competition / Dempsey Racing team, their new for 2014 Porsche 911 RSR #77, competing in the GTE / AM class. 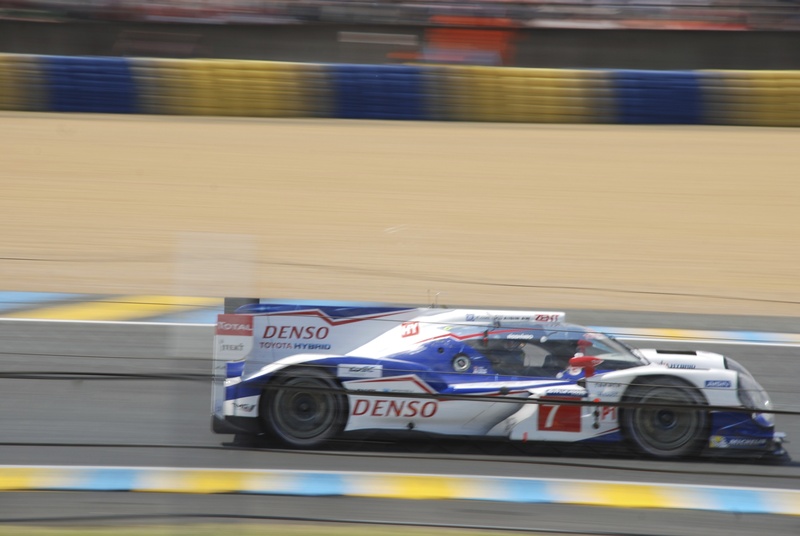 Below, one of the first LMP1 cars to appear; Toyota’s TS040 Hybrid, part of the two car team as campaigned by Toyota Racing. 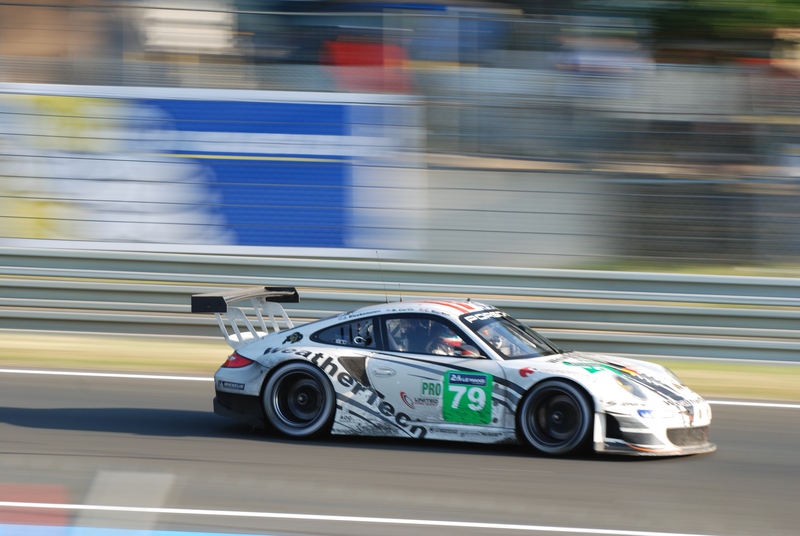 Another of the Porsche 911 GT3RSR’s, a joint effort between the Belgian Prospeed Competition group and the American firm Weathertech. 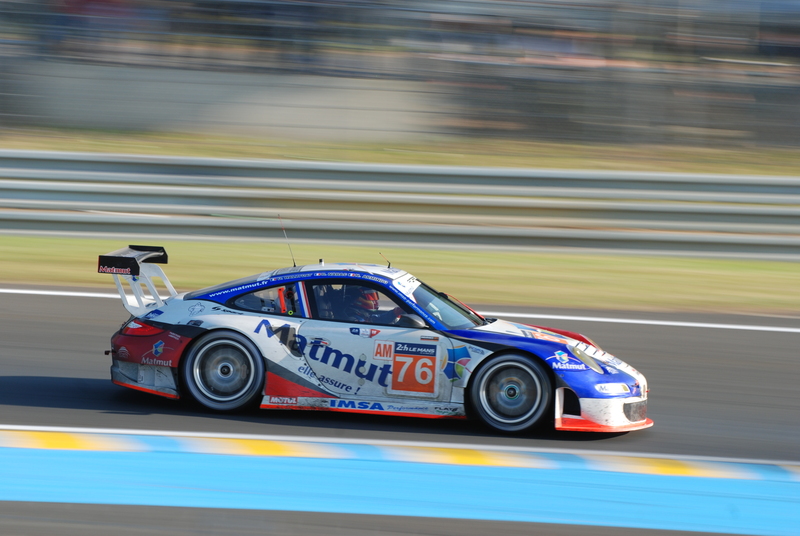 Following behind Weathertech’s Porsche 911GT3 RSR, was one of the first LMP2 class race cars to appear. 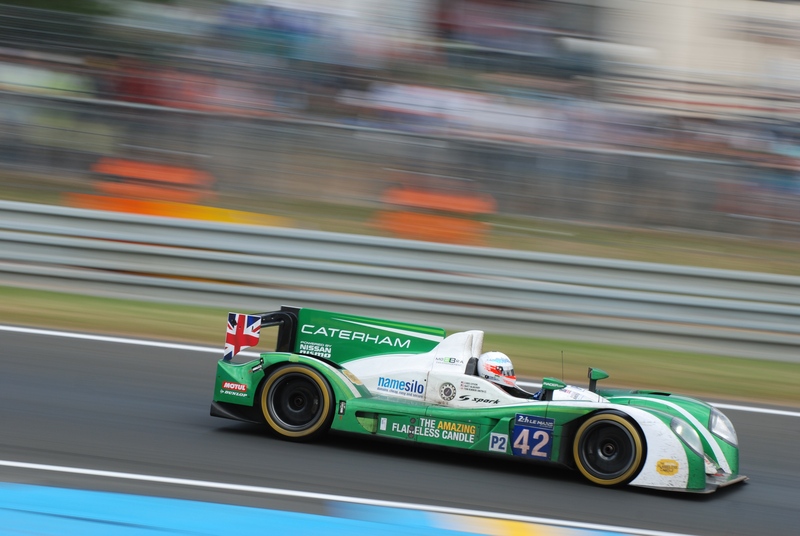 This particular car (#42) was entered by Caterham Racing, but managed by Greaves Motorsport. 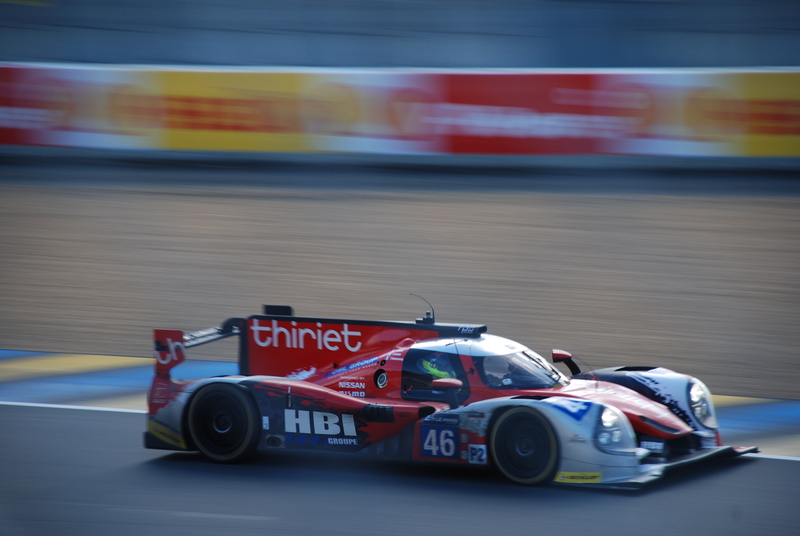 Ironically, the drivers line up for this car consisted of two american drivers (Chris Dyson and Matt McMurry), with the third (Tom Kimber-Smith) representing Great Britain. 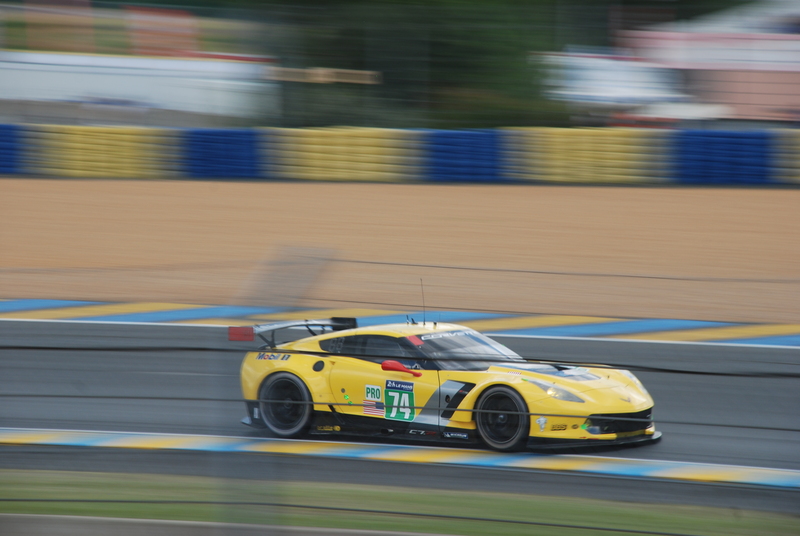 Representing the United States, was this duo of Corvette C7Rs, fielded by the Pratt & Miller team. 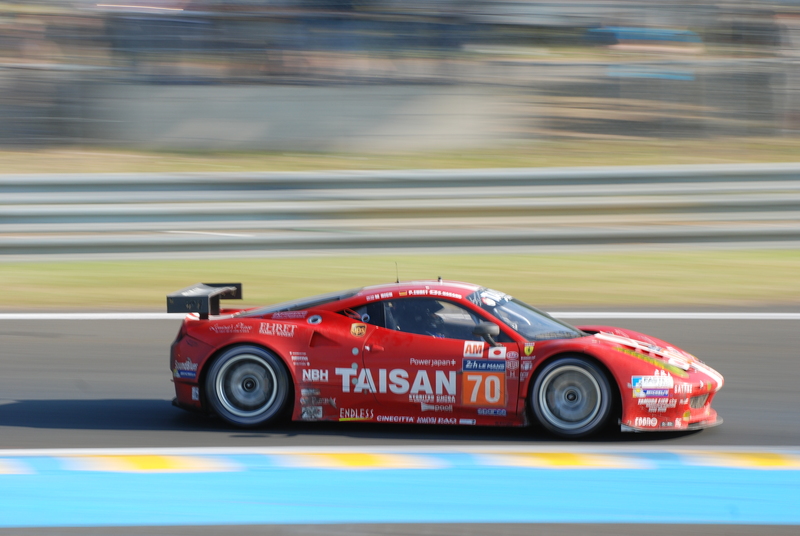 Following close behind was Nissan’s ZE0D RC (a solo entrant), entered by Nissan Motorsports Global. 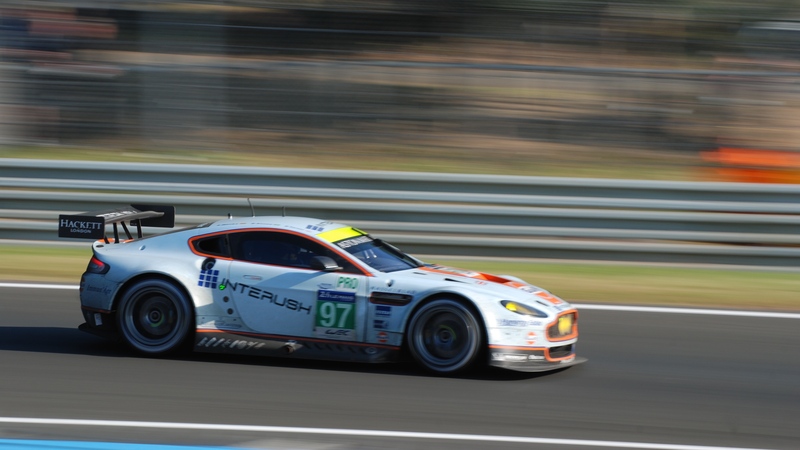 Another team representing Great Britain was Aston Martin Racing, competing with a pair of V8 Vantage coupes. 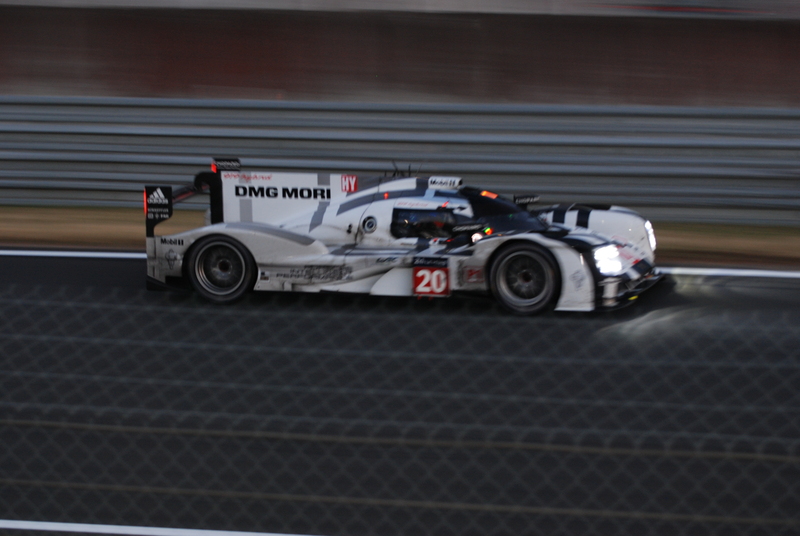 followed close behind by its teammate, the #20 919 Hybrid. 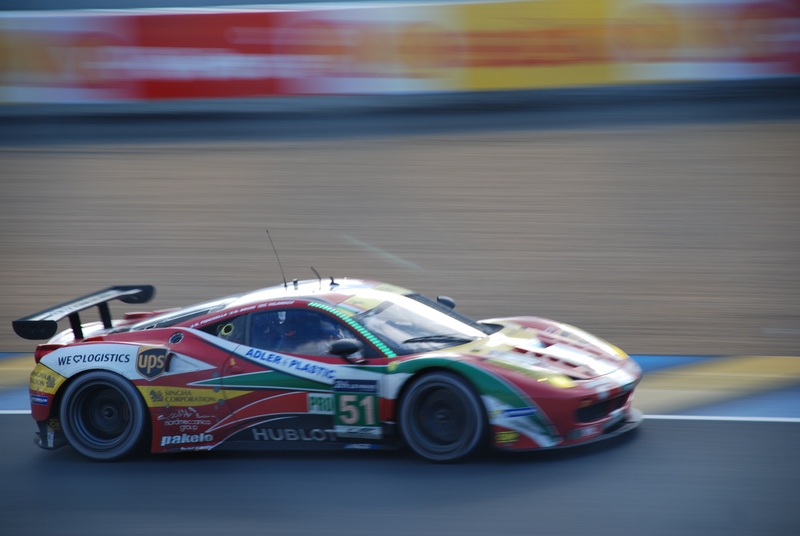 For the Tifosi assembled, the 2014 Le Mans 24 contained a total of fourteen Ferrari 458 Italia models, competing in both the GTE PRO and GTE AM classes. 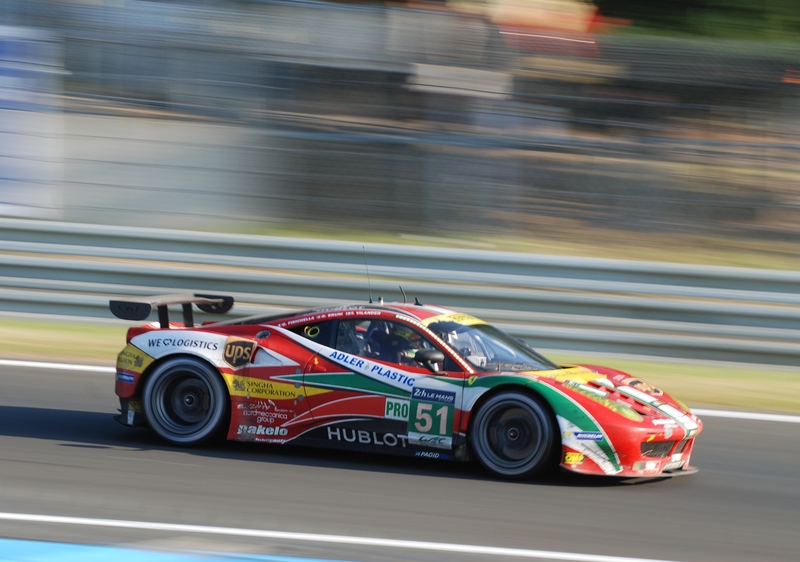 Below, is one of the 458 Italia’s, competing in the GTE / AM class, for the AF Corse team. 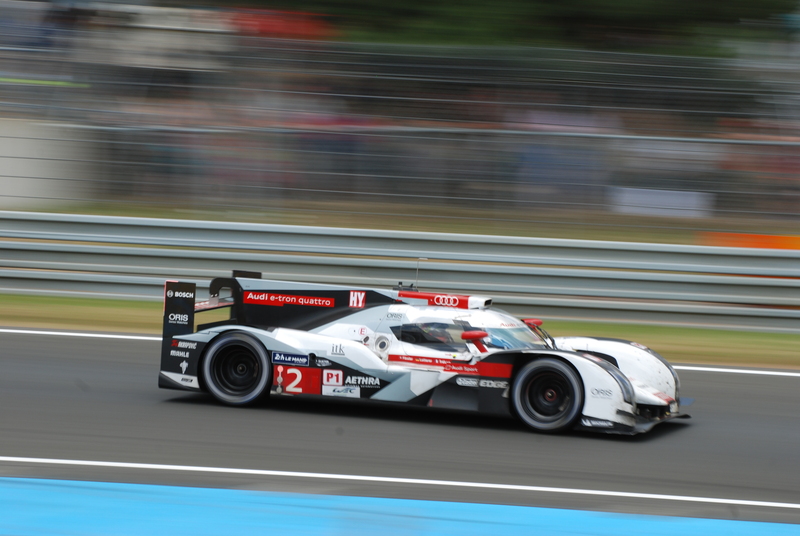 And finally, one of the three Audi R18E-tron LMP1 race cars, entered by Audi Sport Team Joest. 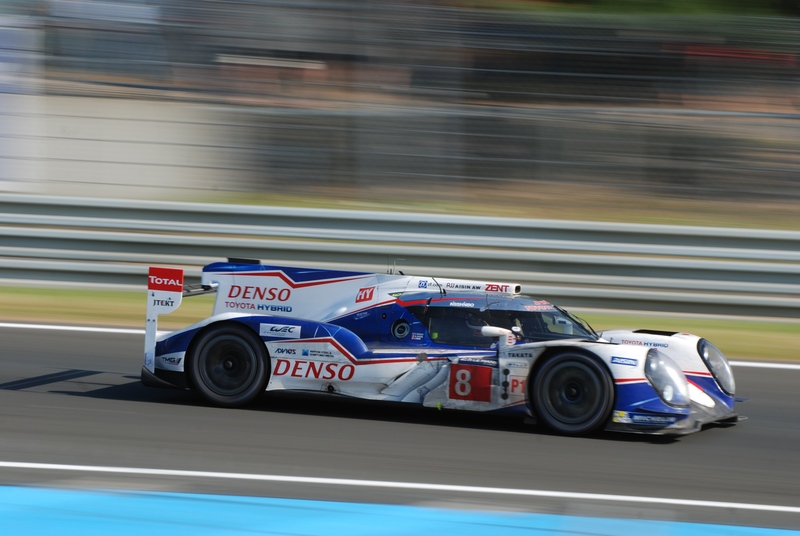 As the cars filtered past, suddenly there was an eerie silence as the last car in the race car conga line disappeared under the Dunlop bridge. 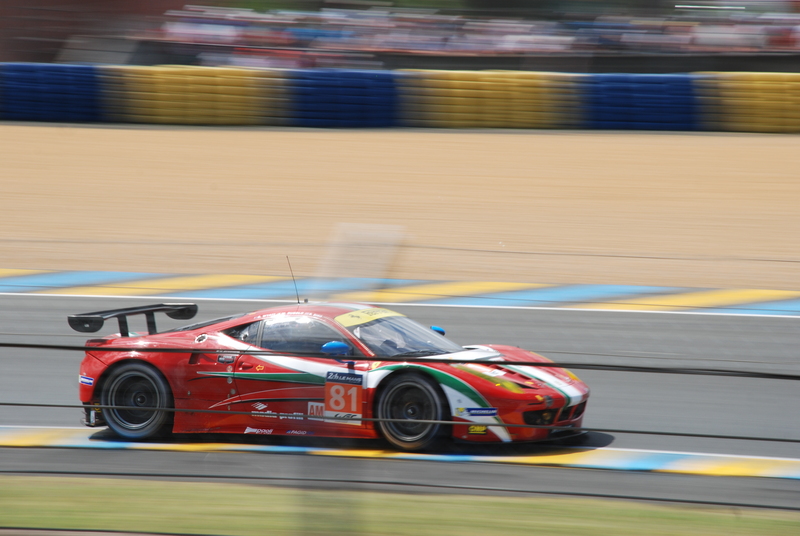 Following closely behind these lead LMP1 cars was an assortment of GTE PRO, GTE AM and LMP2 class cars. 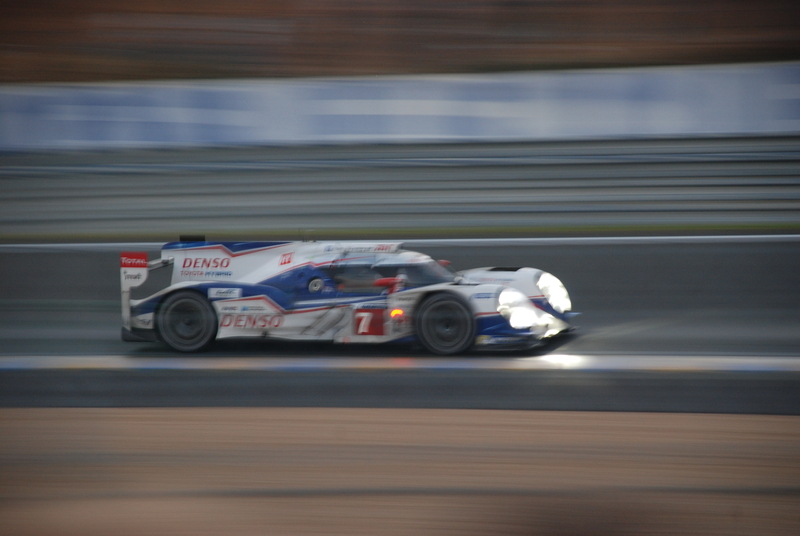 My first hour and a half of the race was spent exploring the Dunlop curve and Chicane area of the track. 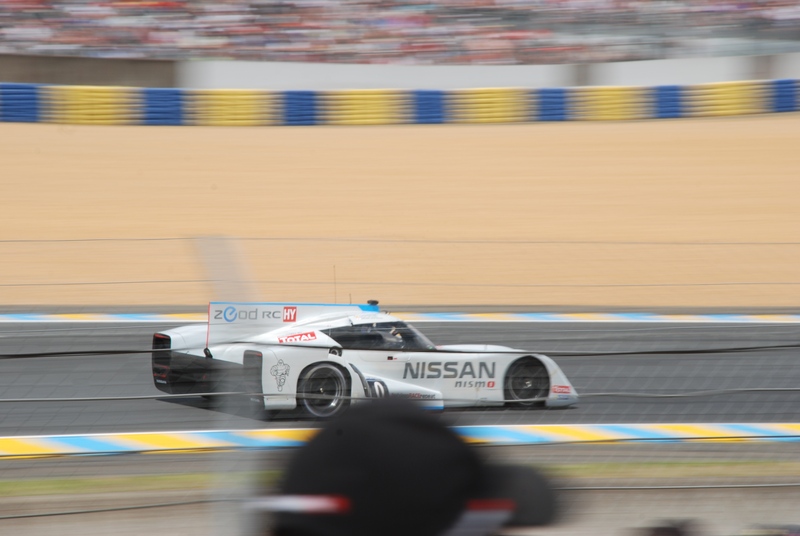 And by 4:30pm, the Dunlop curve location proved to be a good choice, especially when the gray clouds that had been gathering over the track, decided to rain on this automotive parade. As the skies open up, I was able to take cover beneath the projecting roofline of a cantina located on the infield side at the Dunlop curve. Here I could stay dry and continue to shoot the race from under cover for the next half hour as the storm passed. Fortunately, this was the only rain that would fall on the event. 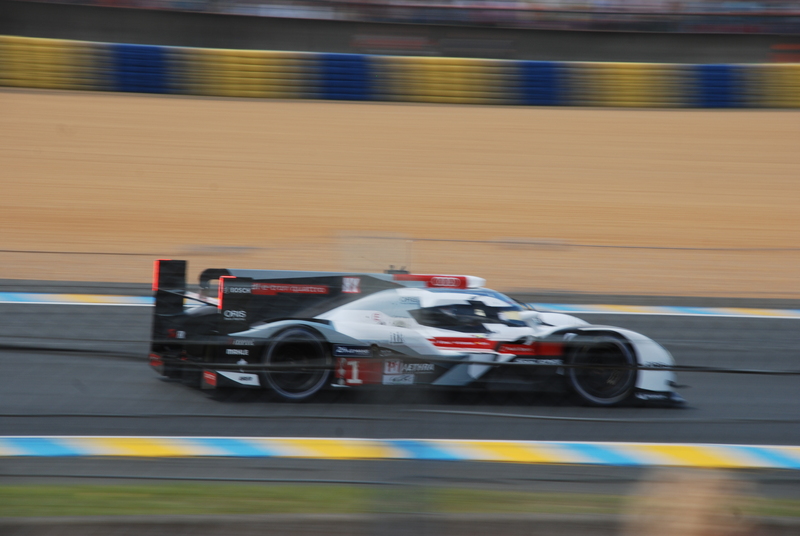 So with the skies now clearing, I decided to make my way south towards the start / finish straight, with a stop along the way to watch the cars returning to the track at the pit out / exit. 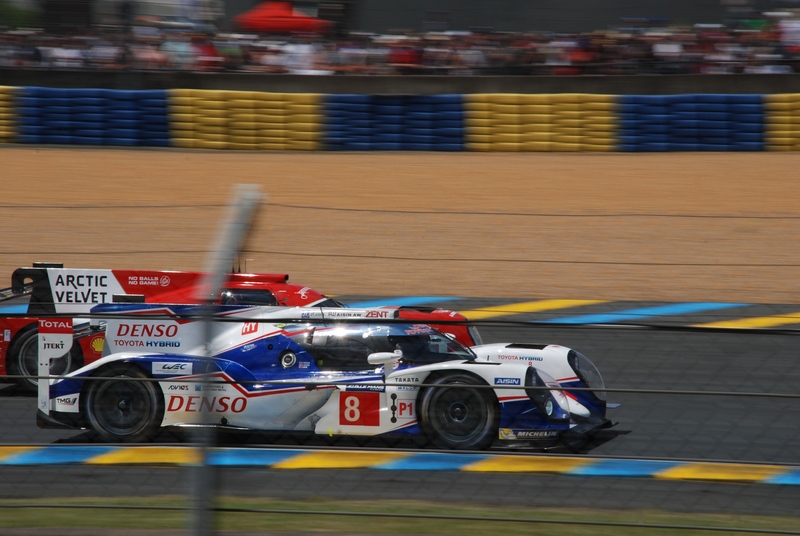 This also afforded me a unique perspective to view the cars close up and at speed, as they accelerated on their way towards the Dunlop curve. As the sun continued its arc across the sky, and the light levels began to drop, I figured it was a good time to refuel and grab some food. So heading back into the village, I found a small cantina offering up a variety of sandwiches. The jambon y fromage baguette (ham and cheese) had been a good choice at lunch, so another two were consumed for dinner, washed down with a large Coca Cola to caffeine load for the long night ahead. 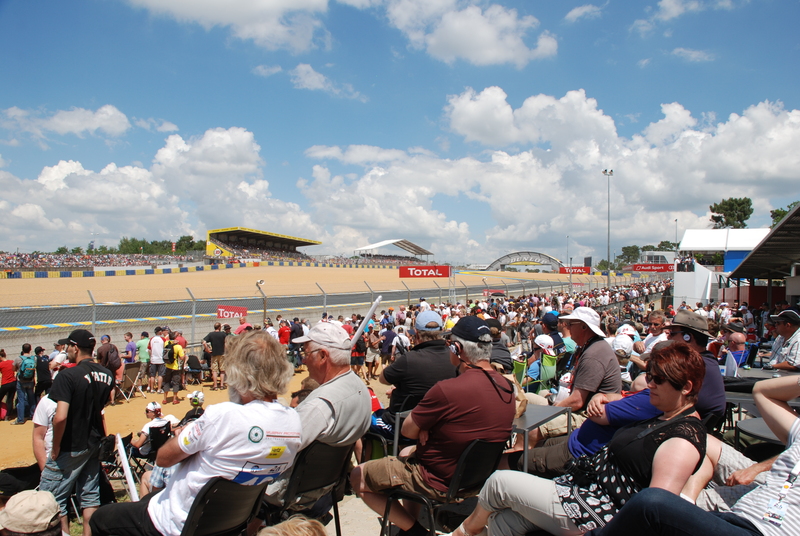 (I had decided that since this was my first trip to Le Mans, I did not want to miss a minute of the race, and was determined to stay awake for the entire 24 hours). So after my quick dinner, it was time to continue my exploration of the track, which was beginning to fall under a cloak of darkness. 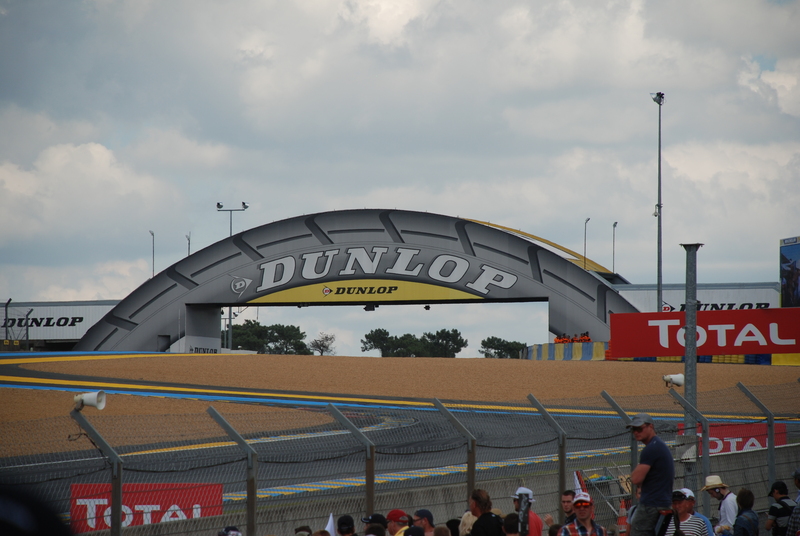 Since I was still in the proximity of the Dunlop chicane, I decided to check out the area between the Dunlop bridge and the Tertre Rouge bend. 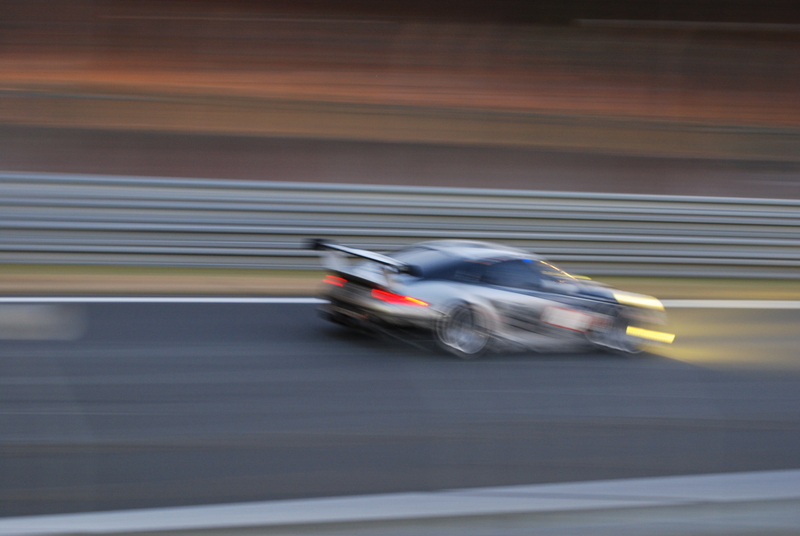 On the way, I stopped to watch the cars flying through the Esses, and capture some of the action ( these images were taken at around 10:30 pm). 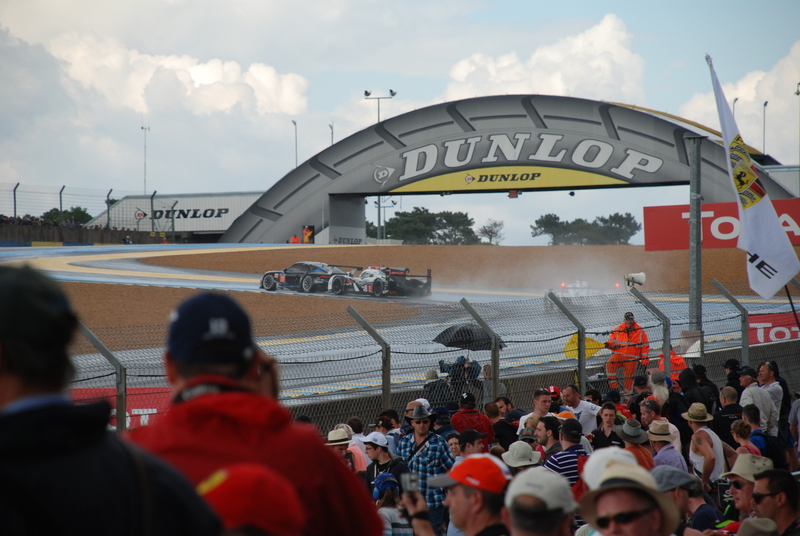 Exiting the Tertre Rouge bend, the cars transition onto the longest straight located on the track; the world-famous Mulsanne straight. So I hiked out to this area of the track in the dark, and discovered an illuminated pedestrian corridor running beneath the race track, which allowed access to the viewing area located to the outside of the track. 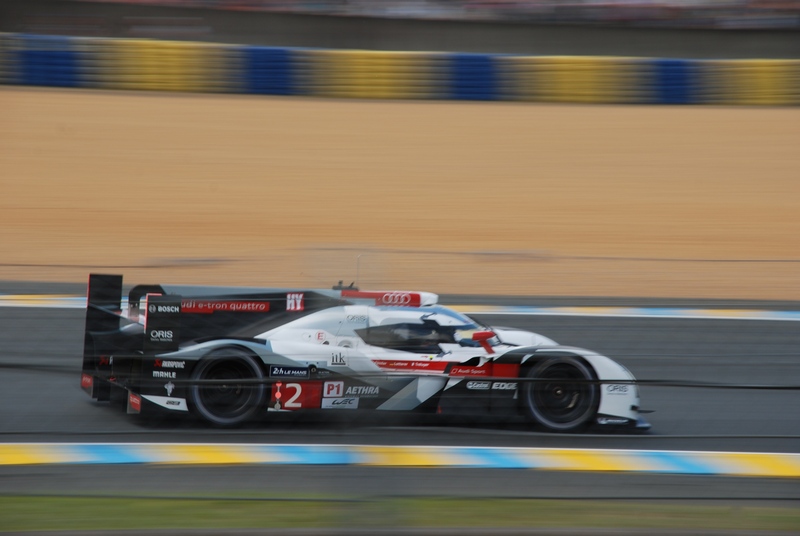 This proved to be a great location for observing the stunning performance capabilities possessed by the LMP1 class vehicles (in particular, the Audi R-18s, Porsche 919 hybrids, and the Toyota TS040s). 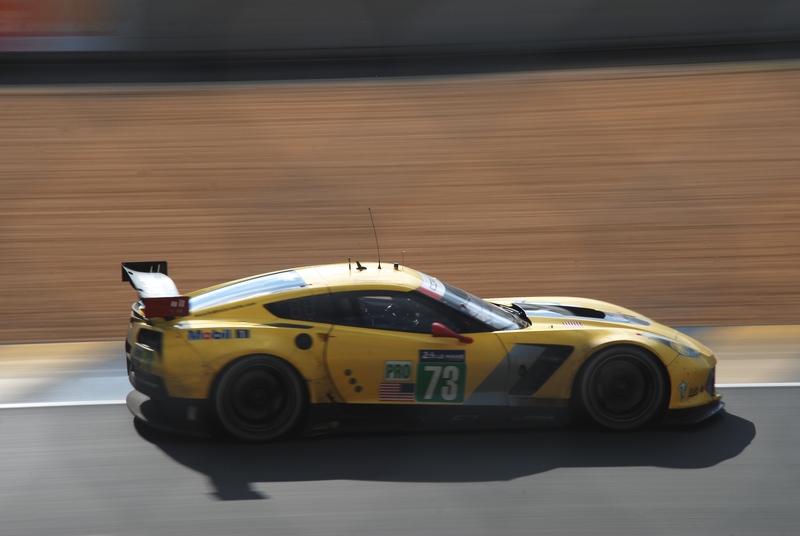 It was equally amazing to watch the GTE PRO and AM class cars follow the same trajectories, but at a slightly reduced top speed, and with a uniquely distinct exhaust notes. 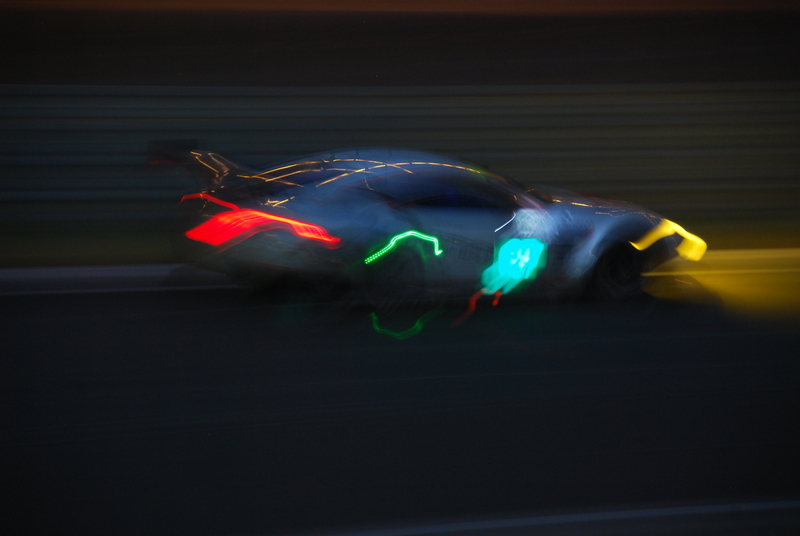 It was surreal to watch how fast these cars could track through the turn, only to disappear into the darkness down the Mulsanne straight. 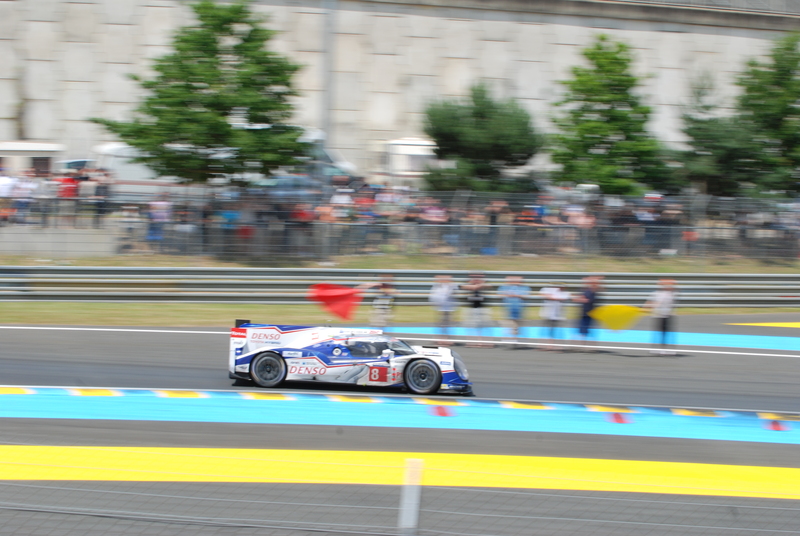 As the cars disappeared from view, you could still hear them accelerating and hitting their shift points, as they raced down the Mulsanne. 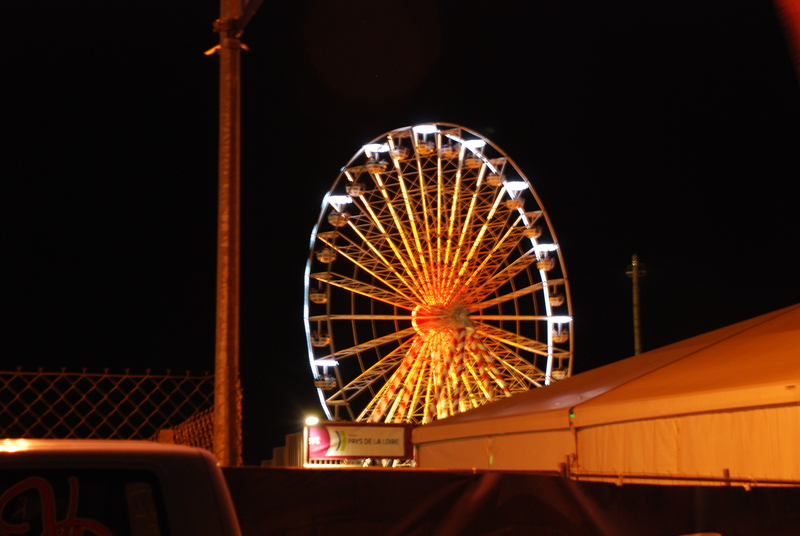 With the hours passing, and in an effort to stay warm, I decided to do some more exploring of the track, so I went in search of a classic visual icon; the neon illuminated ferris wheel, located by the Maison Blanche section of the racetrack. 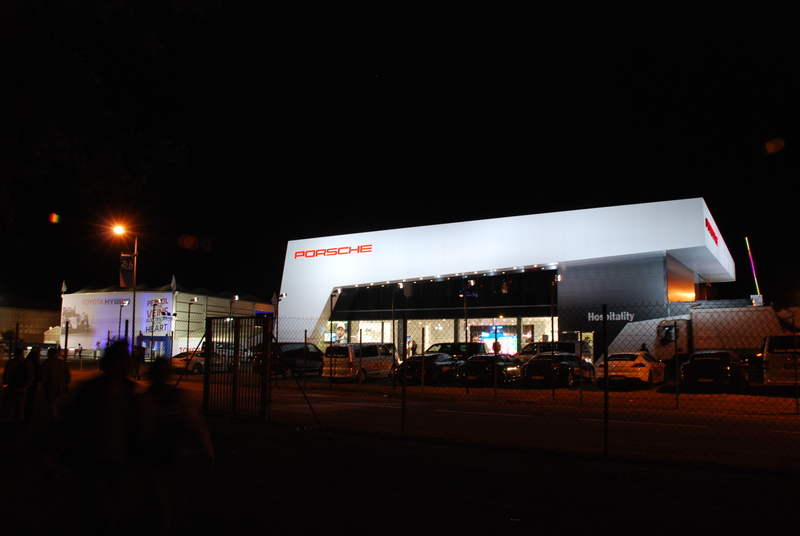 With it now close to 3 AM ( the halfway point of the race), I felt it appropriate to check out Porsche’s infield Hospitality center. 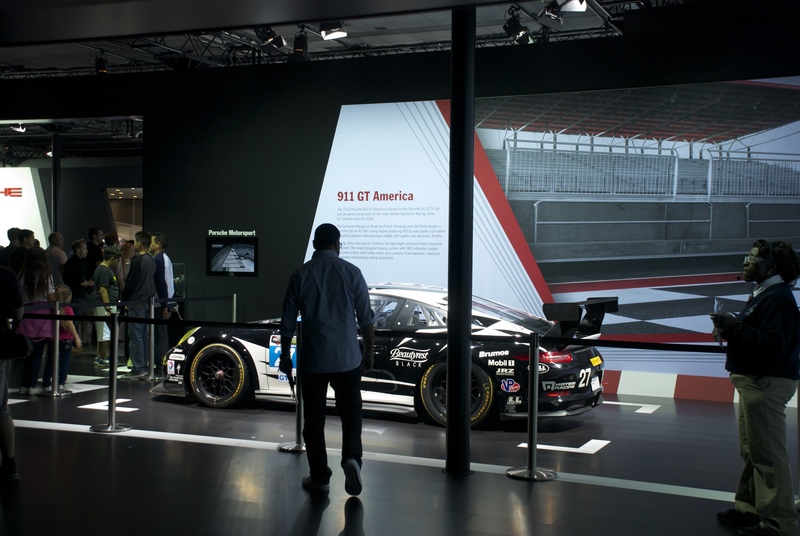 Access into the facility turned out to be by invitation only, which contained a cantina, boutique and product showroom, and a floor to ceiling video display wall, located on the back wall of the vehicle showroom, and broadcasting live coverage of the race. As I stood on the outside looking in, I was surprised at how many people were still inside given the hour (shopping at the boutique and watching the video display). 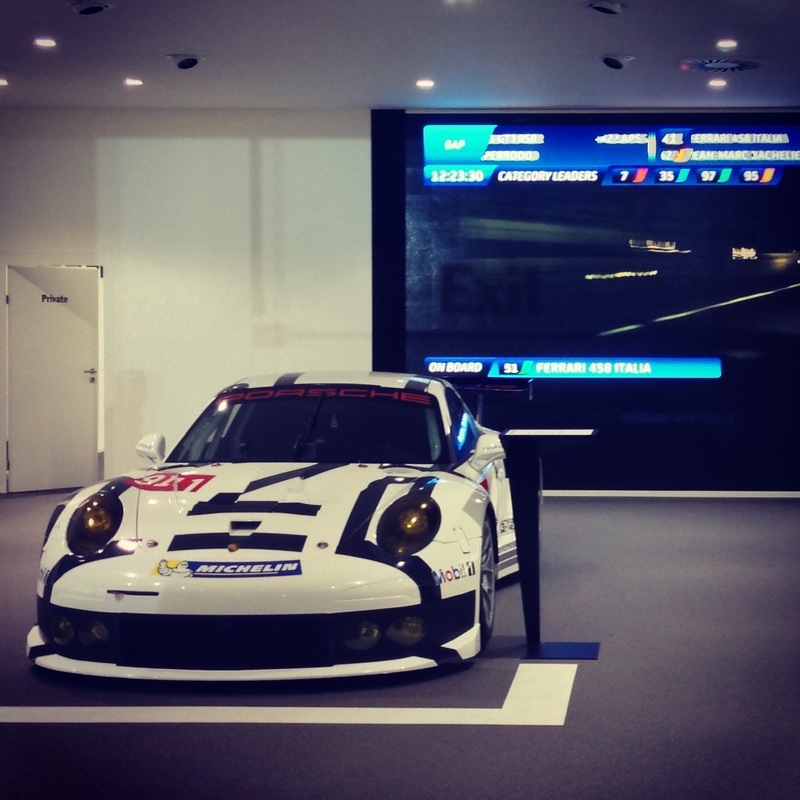 The showroom also housed an example of Porsche’s new for 2014, 919 hybrid race car, as well as a copy of the latest 911RSR iteration, identical to the two team cars being raced in the GTE PRO class. With the temperatures still cooling, it was time for me to once again refuel with something warm, and fortunately I found a cantina in the Village still open, serving up coffee and hot chocolate. 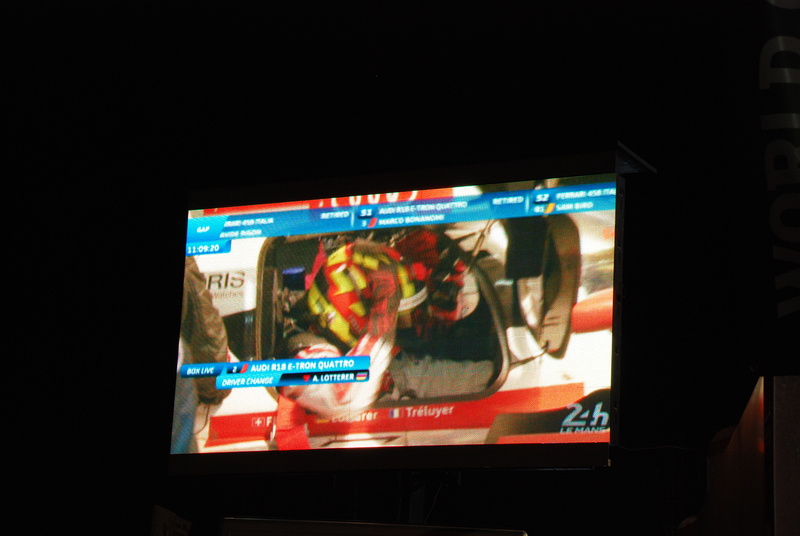 Time to take a break, put me feet up and take my backpack full of camera gear off for a while, and warm up with two hot chocolates, and watch the race coverage streaming on one of the large video displays located within the village. 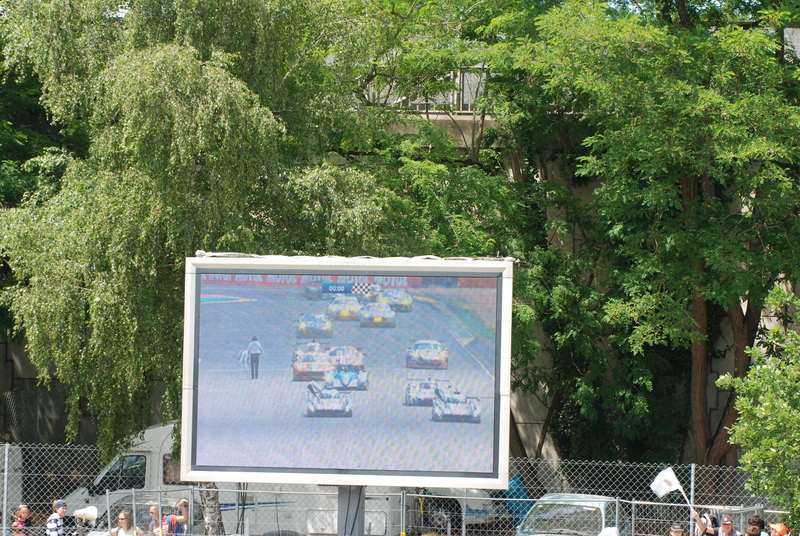 A total of 6 jumbotron video displays were situated around the track, and were a great tool to have for staying current on the action taking place on and around the track. 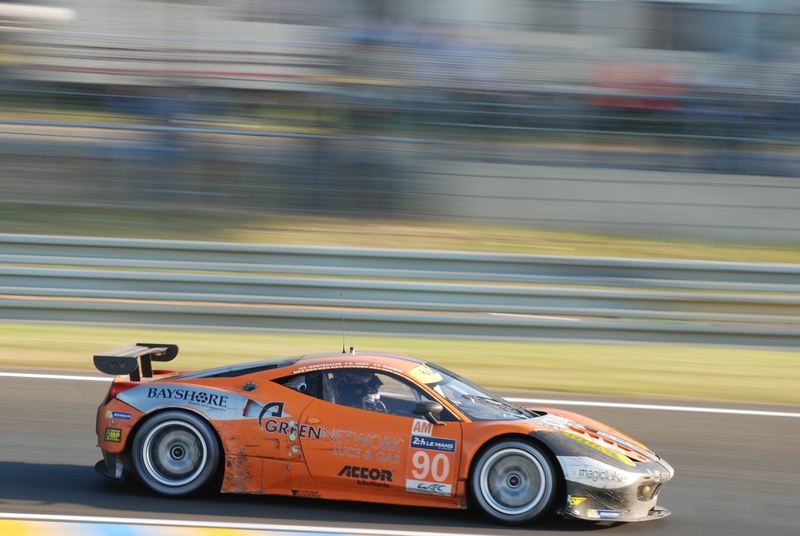 In addition to the imagery, race standings were posted over the duration of the 24 hours. 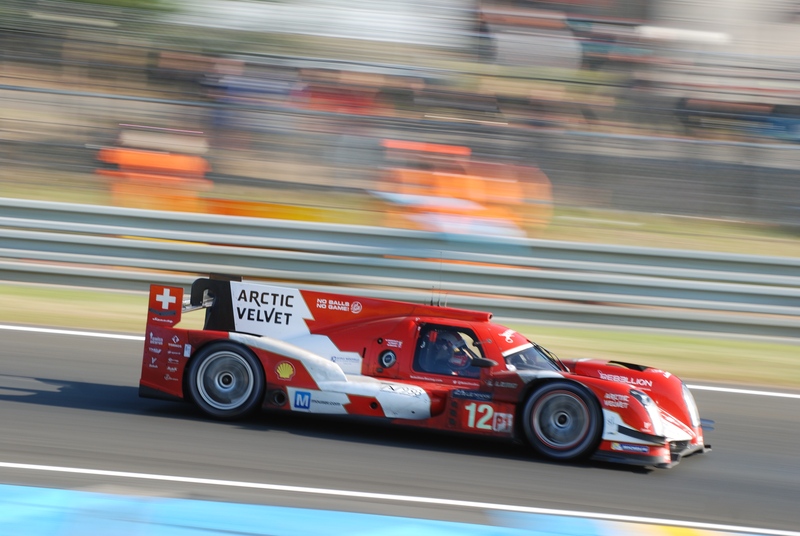 Warmed up, refueled and still awake at 4:30 AM, I decided to return to the Esses and Tertre Rouge area of the track, to watch the sun rise over the track, and watch the early morning light illuminate the race cars circulating around the track. 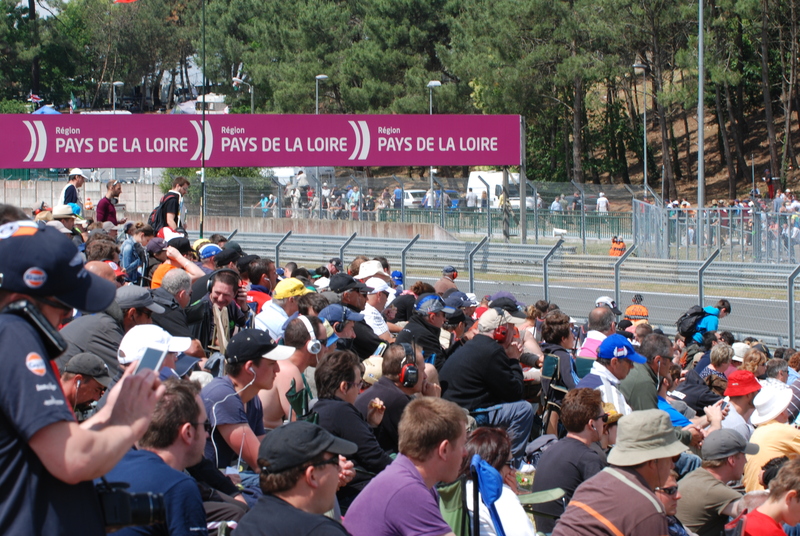 Once again, the elevated berm in this area served as an ideal platform for viewing the racing action in these two zones. 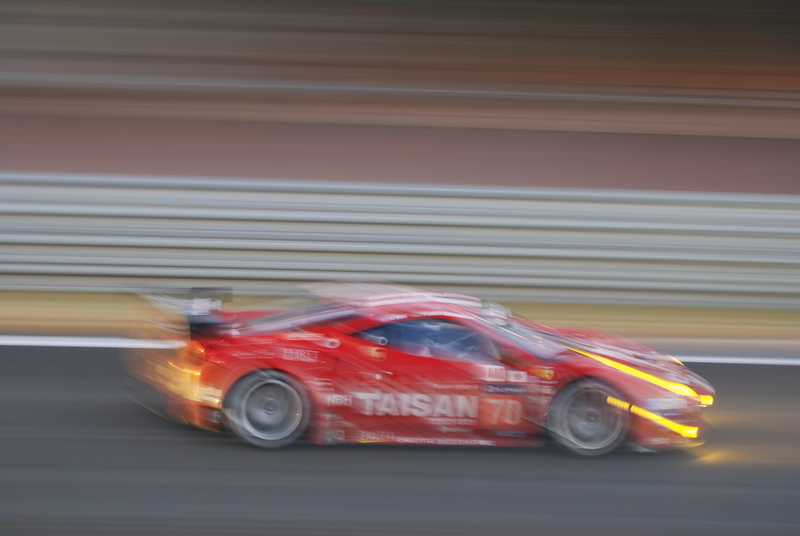 A series of shots captured at the Esses, with the aid of the early morning light. With the sun on the rise, I made way down to the Tertre Rouge bend, and staked out a spot at the top of the berm, as a good vantage point from which to photograph the remainder of the race, and slotted in amongst the crowd that had begun to assemble. 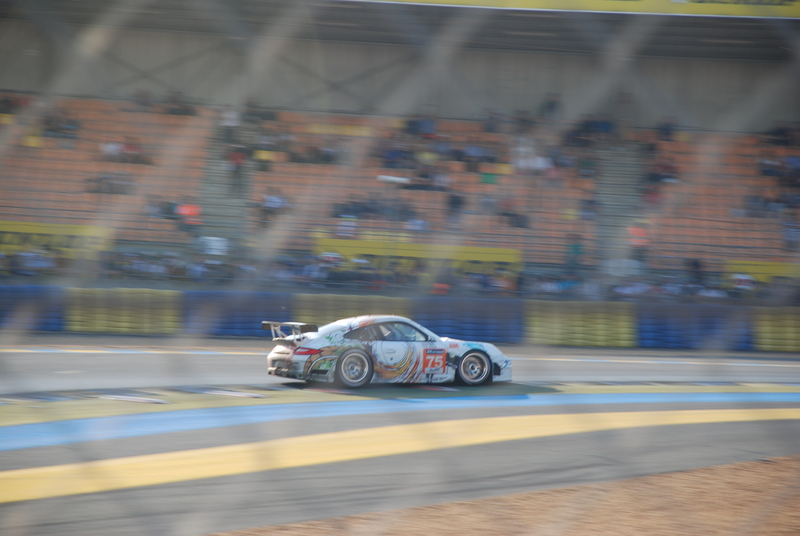 Below are a random assortment of shots I captured over the course of the morning, and wrapping up at the conclusion of the race at 3 PM. 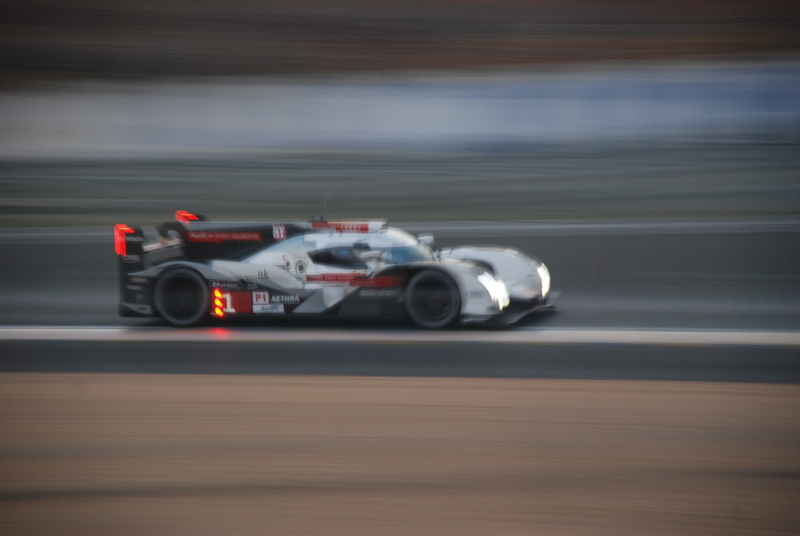 At 2 PM, suddenly the race took a negative turn for both of Porsche’s 919 hybrids (#14 and #20), which for the previous 23 hours had collectively given both Audi and Toyota a run for their money. 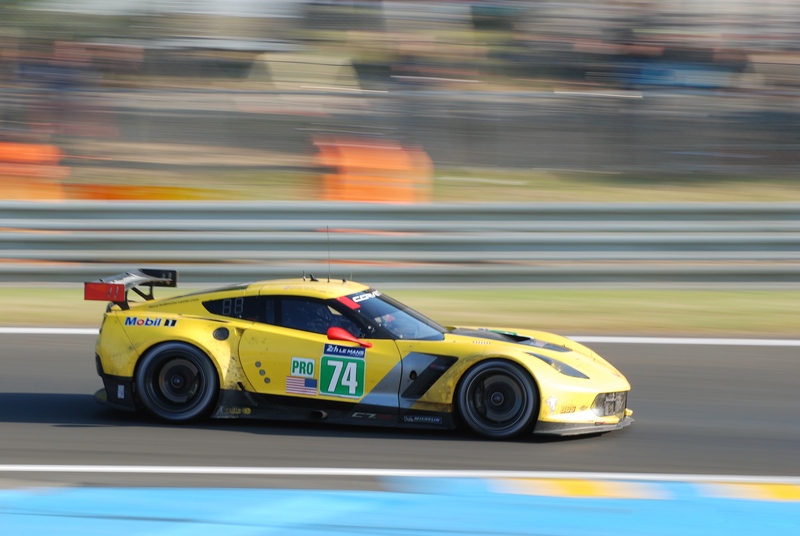 But now, both cars were in the garage, with the #20 car retired with motor issues, and the #14 car sidelined by gearbox and drive train issues. 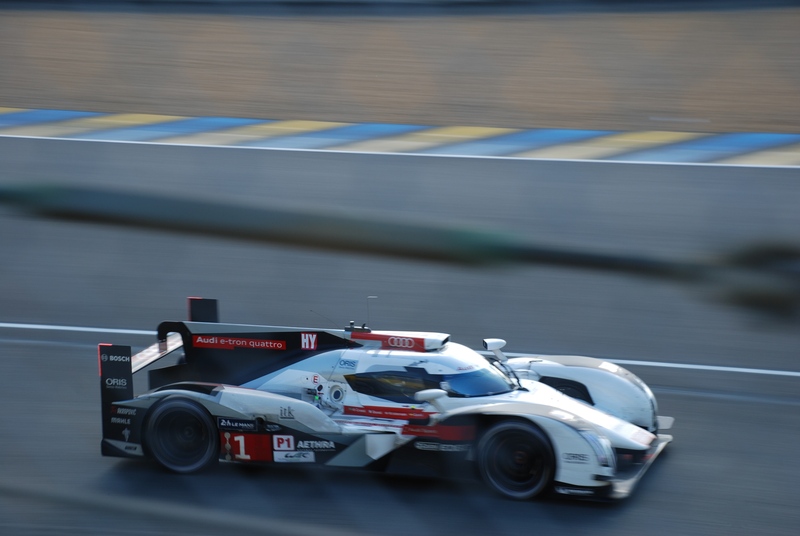 For the remaining hour, the two Audi’s and the sole remaining Toyota continued lapping the track, chasing the clock to 3 PM. 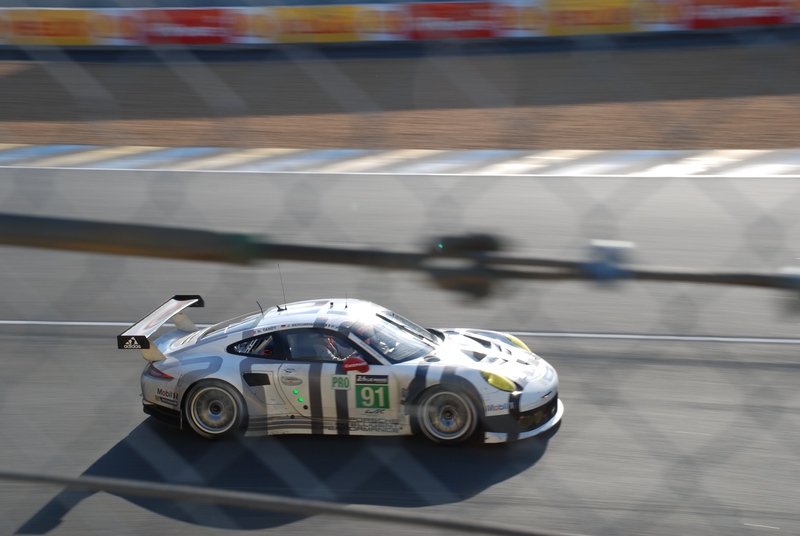 However, unknown by their competitors, Porsche had been working on the #14 race car, in an effort to return it to the track. 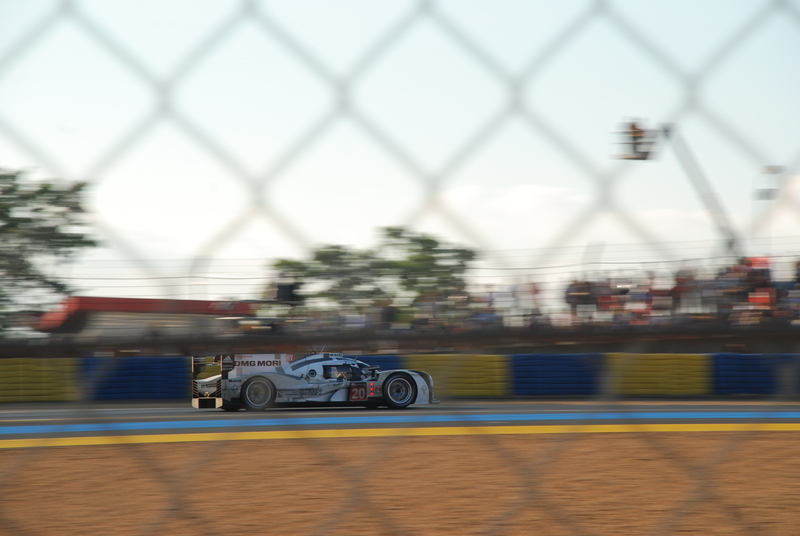 And with only 10 minutes remaining,the 919 returned to the track, unfortunately circulating at a less than competitive pace. 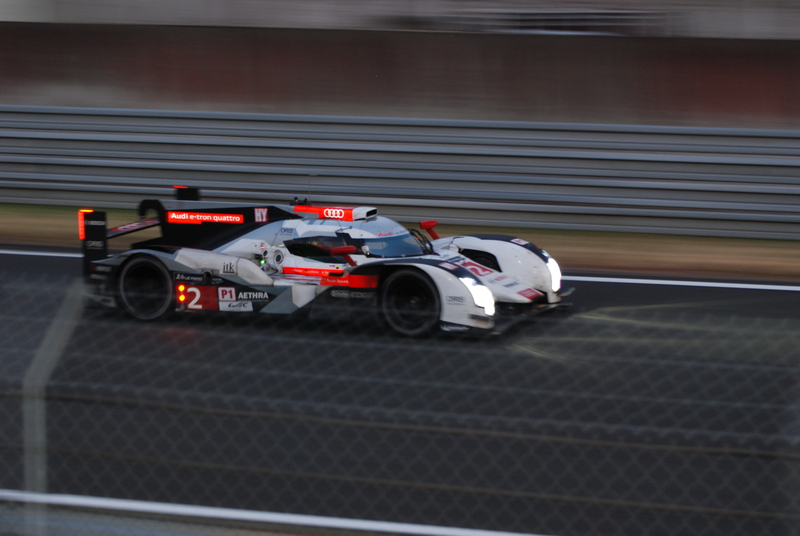 The two Audi’s R-18 e -trons and the sole remaining Toyota TS040 soldiered on, and at 3:00 PM, Audi took the checkered flag, and once again finished in 1st and 2nd place, with the Toyota TS040 placing third. 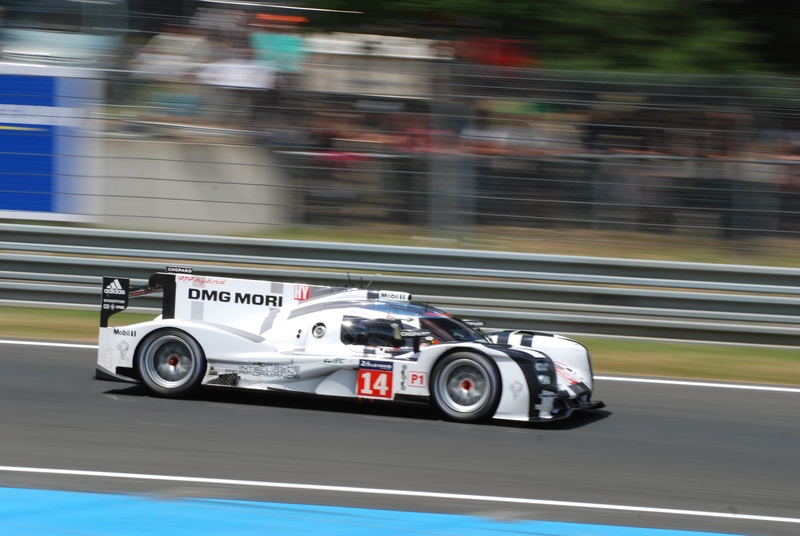 And to everyone’s surprise, the #14 Porsche 919 hybrid had returned to the track, taking its final lap and crossing the finish line. 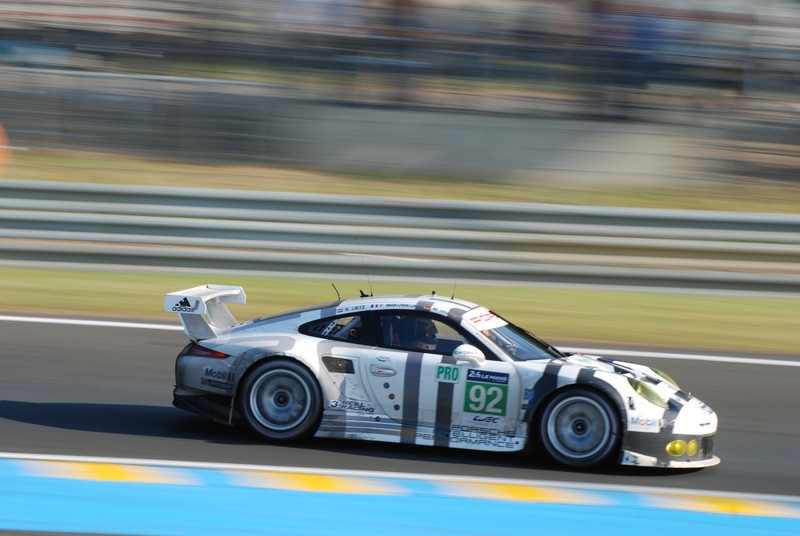 At the completion of the 2014 race, Porsche announced their intentions to return in 2015. And it appears that they were true to their word. 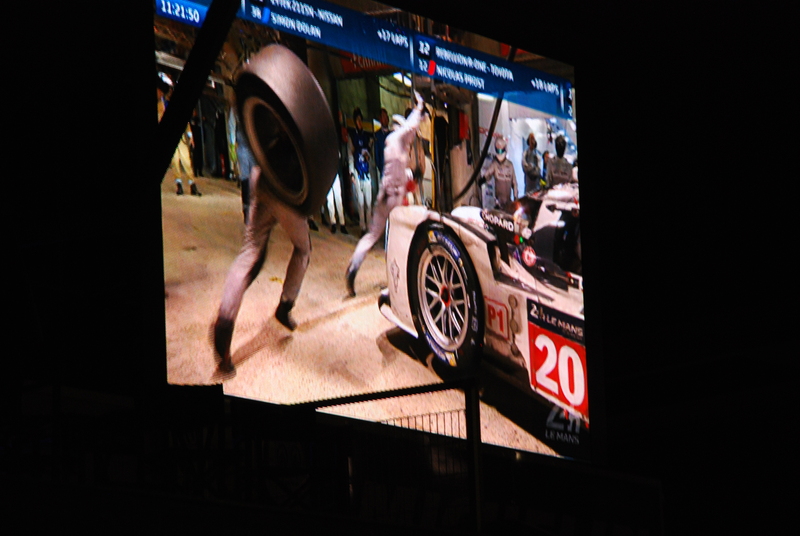 As of this posting, the 2015 24 Hours of Le Mans concluded today; Porsches three car 919 hybrid team (#17, #18, #19) not only qualified on the pole, but also captured second and third place on the starting grid. 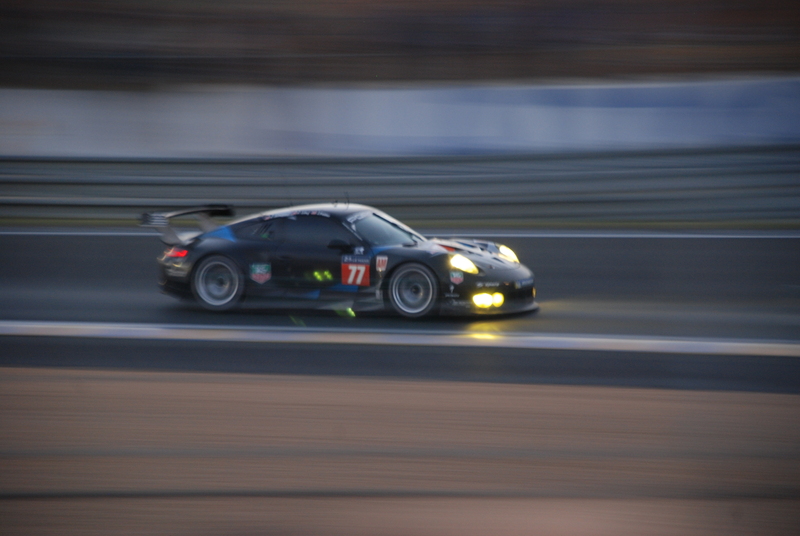 As for the race, at the end of the 24 hours, Porsche scored a win, taking first and second place overall, with car #19 f and car # 17 respectively. 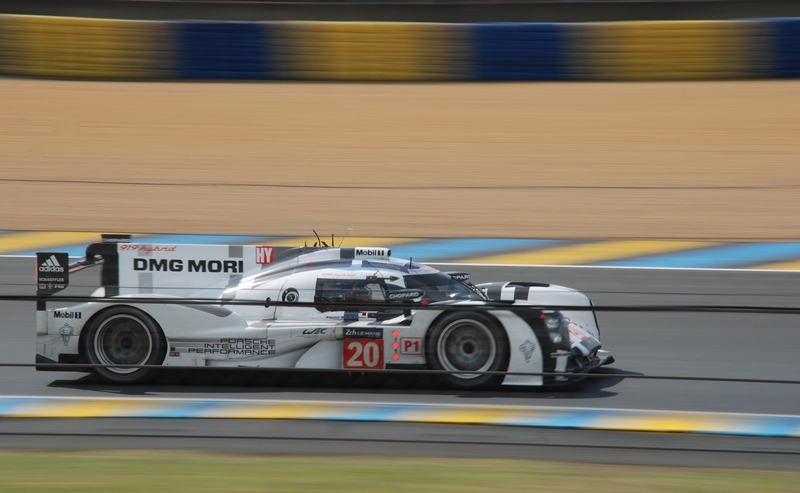 Porsches third 919 hybrid (car # 18), finished in 5th place, behind the two Audi R-18s, which captured third and fourth place. 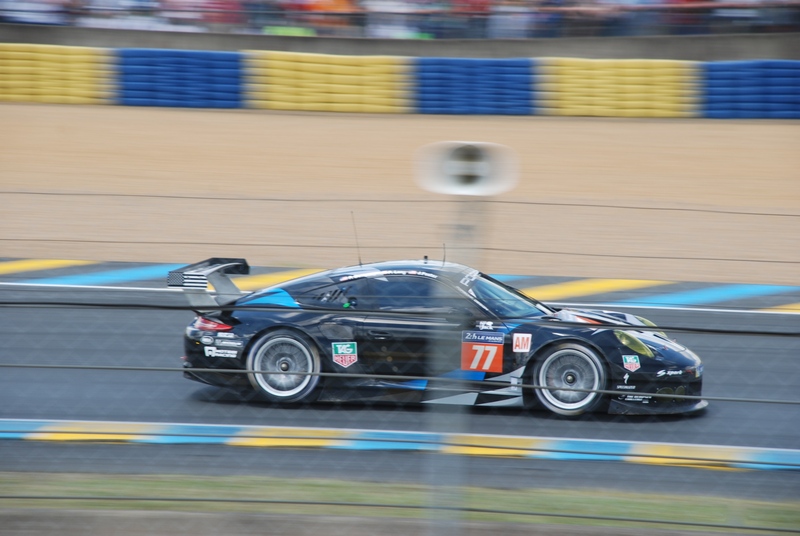 Porsche fans world wide will be celebrating this years Le Mans 24 one -two victory, as well as the manufacturers overall Le Mans 24 victory tally being increased by one to a total of 17. 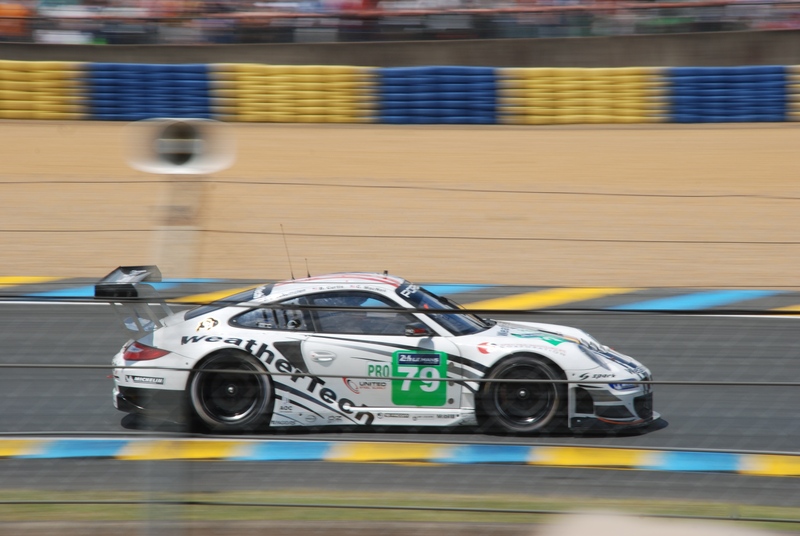 And with Porsches upcoming Rennsport Reunion V , with a “Legends of Le Mans” theme, September in Monterey promises to be a continuation of the celebration of this milestone victory. 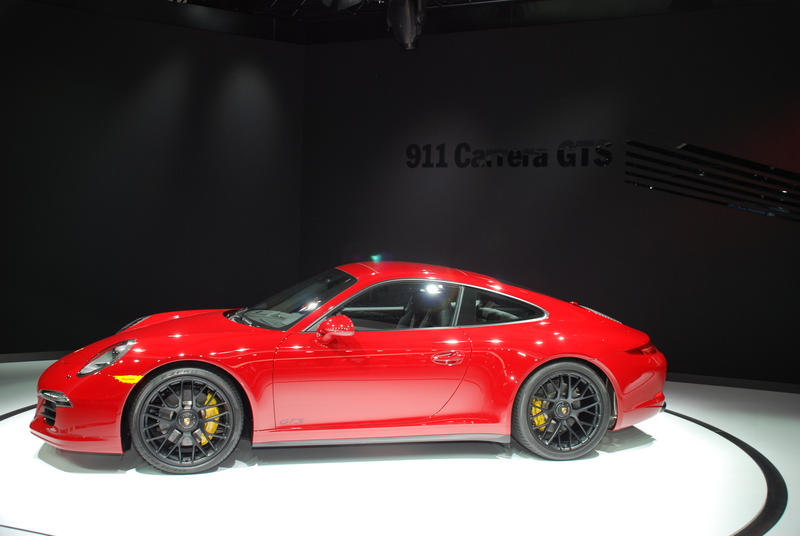 Porsche GTs in abundance at the 2014 Los Angeles Auto Show, or so the rumors went. 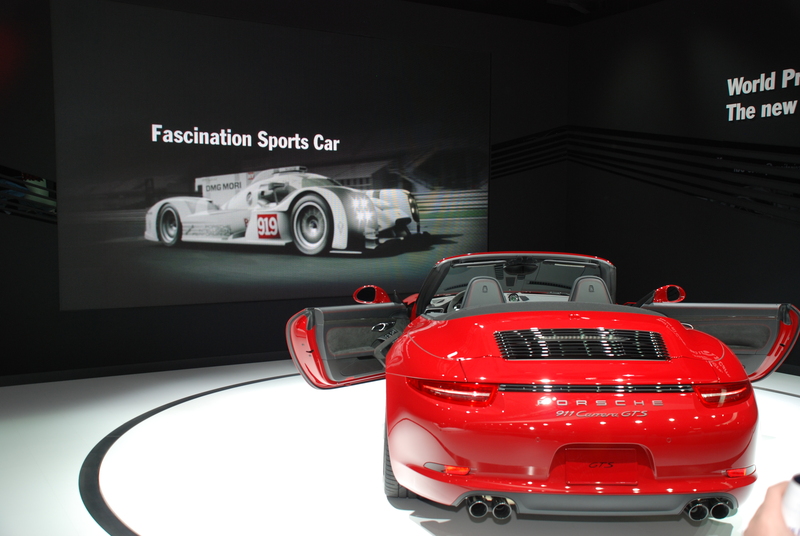 In a break with tradition, my son and I attended the 2014 Los Angeles Auto show on the next to last day of its week-long run. Normally, we have always attended opening day, but our collective schedules did not allow that for 2014. As my son and I ascended the escalator into the convention center, he asked “first stop at Petree hall”? 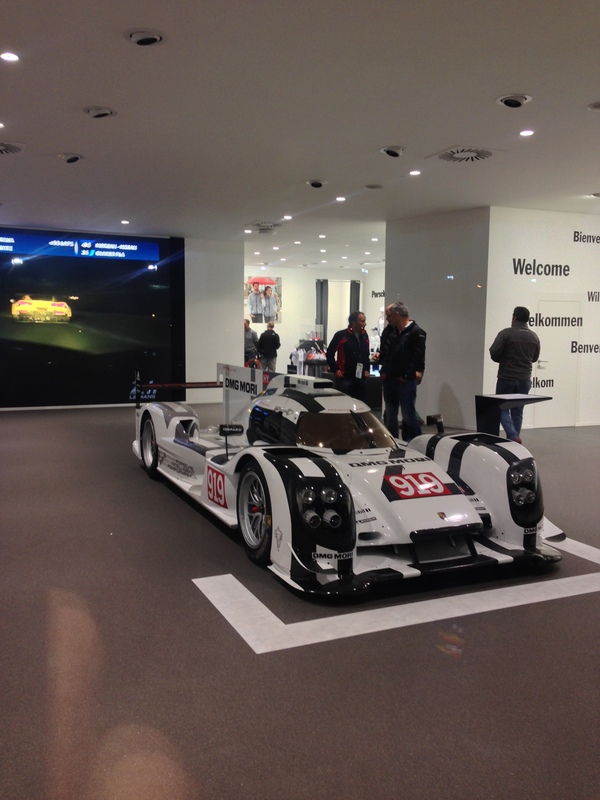 Our yearly tradition has been to start every show with a first stop at Petree Hall, to take in the surprises waiting at the Porsche display. And for 2014, our tradition was upheld. And what better thematic setting for making an impression upon present or future Porsche owners than the first scene of their display within Petree Hall, with the view seen below. 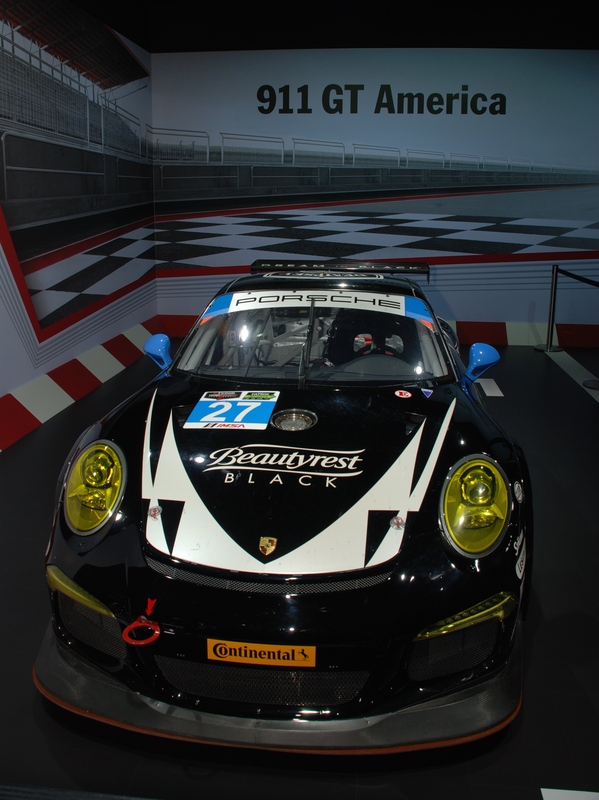 Framed as a scene taken straight from a race track, and positioned center stage, was one of Porsche’s latest race cars; the 911 GT America. 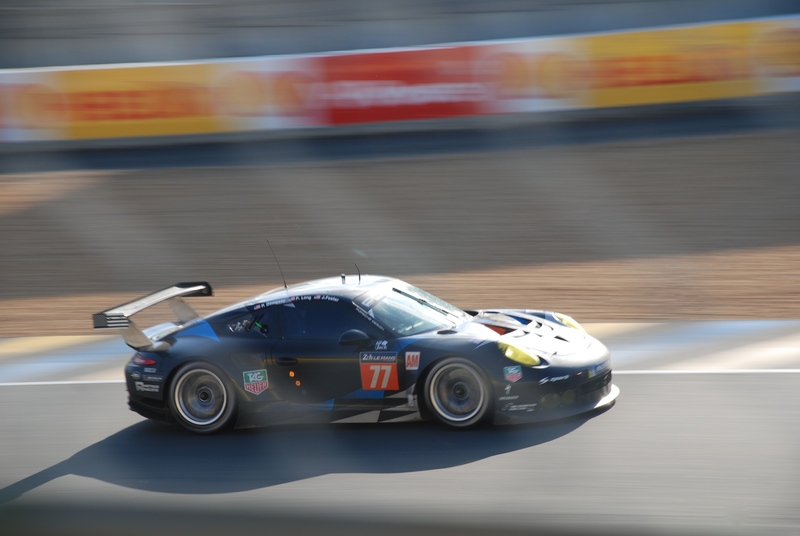 As we approached, it became obvious this race car possessed Southern California roots, campaigned by none other than Dempsey Racing; piloted by Southern California resident / actor Patrick Dempsey, and co-driven by teammate Joe Foster. 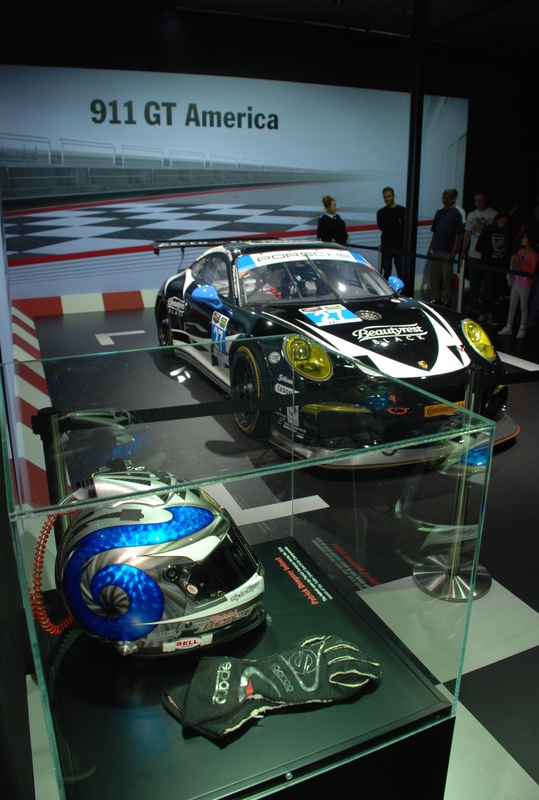 Strategically placed near the car, was a display case containing the helmet worn by Patrick Dempsey during the 2014 Tudor United Sports Car Championship racing season. Wrapped in what has become a signature motif, the helmet graphics were designed and executed by Troy Lee Designs. 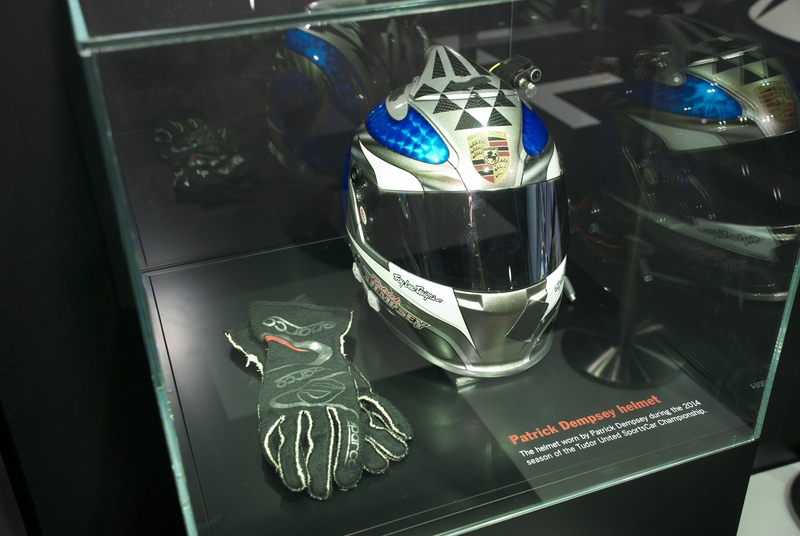 Rounding the corner into “scene 2”, we encountered Porsche’s Hybrid display, showcasing the Cayenne and Panamera hybrid variants, all displayed in a white. 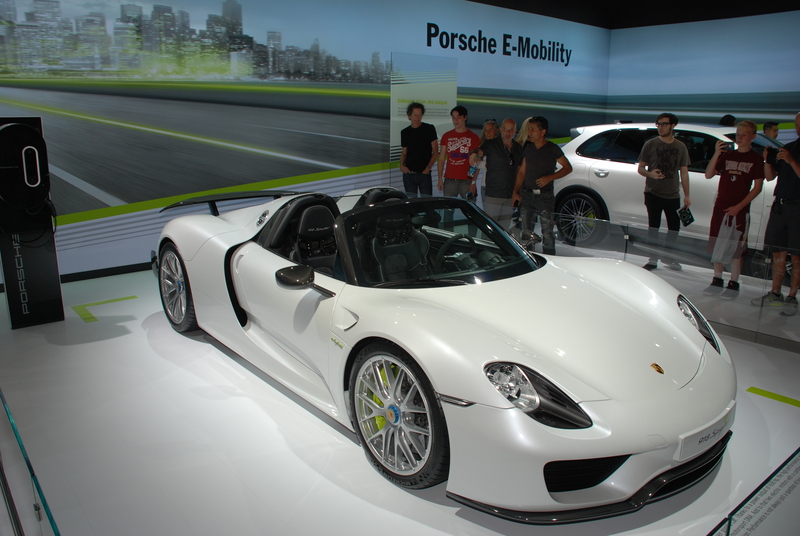 However, the focal point of scene 2 was one centrally located, pearlescent white 918 Spyder as seen below. and to its left on a second turntable, a GTS coupe. 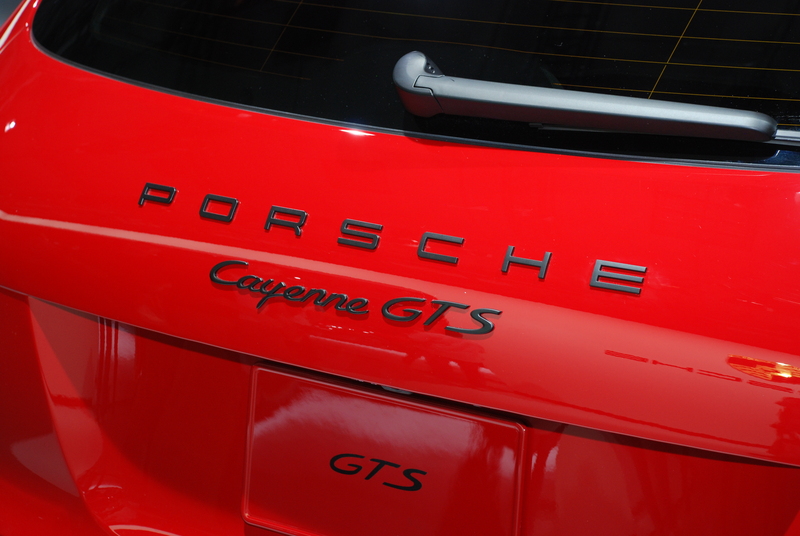 Even Porsche’s Cayenne model was a recipiant of the GTS treatment, wrapped in the same red paint finish, as witnessed by the image below. 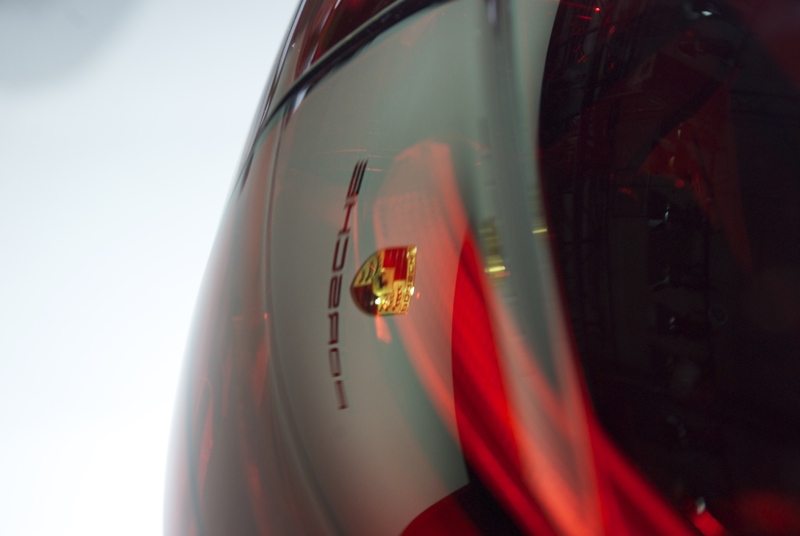 The Cayenne GTS rear tail lights were also the souce of a visual reminder (to those who looked closley), as to the manufacturer behind these latest wonders on display. 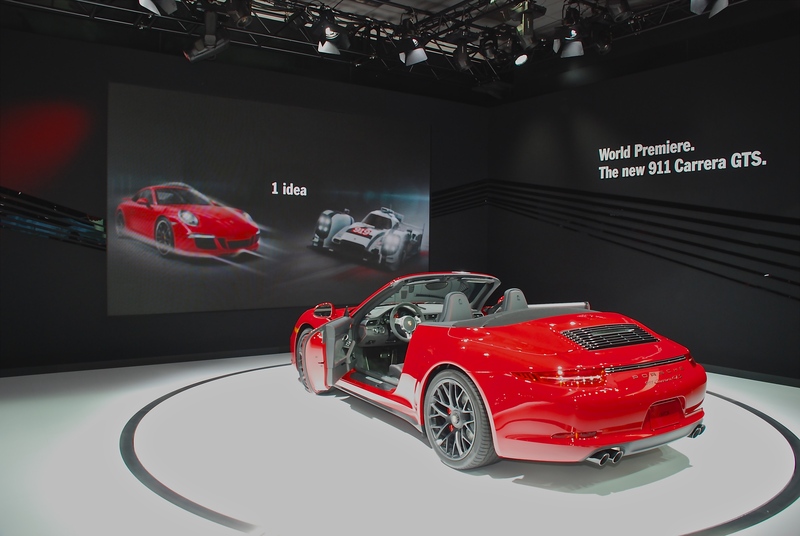 I suspect that next years Porsche display at Petree Hall may have a decidedly RS focused theme, given the pending introduction of their brand new for 2015 GT3RS.